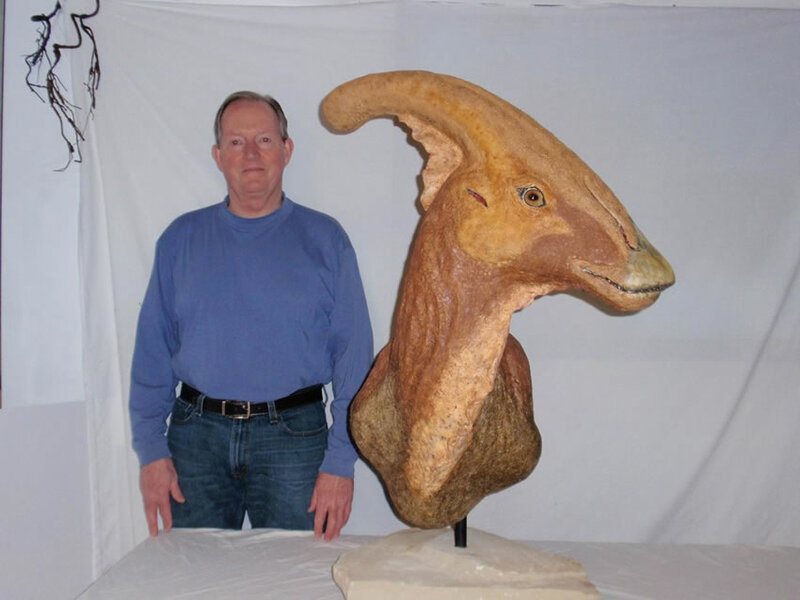 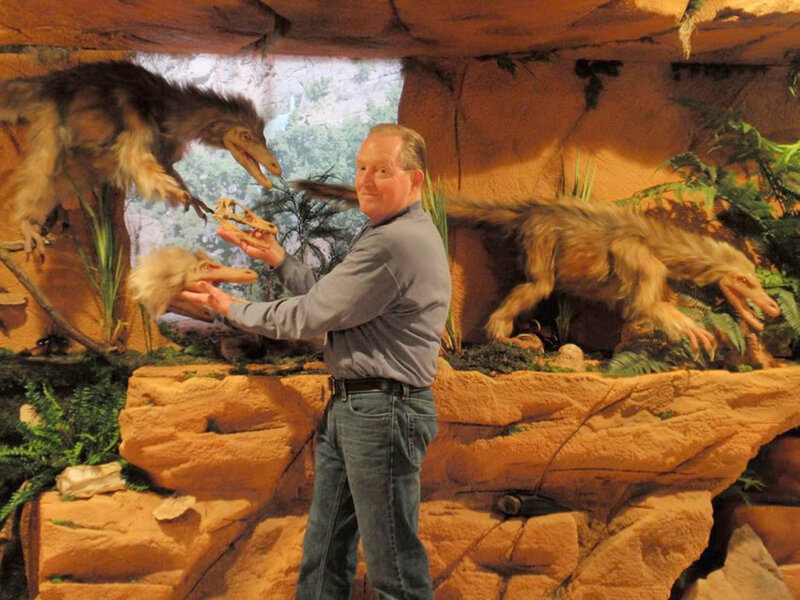 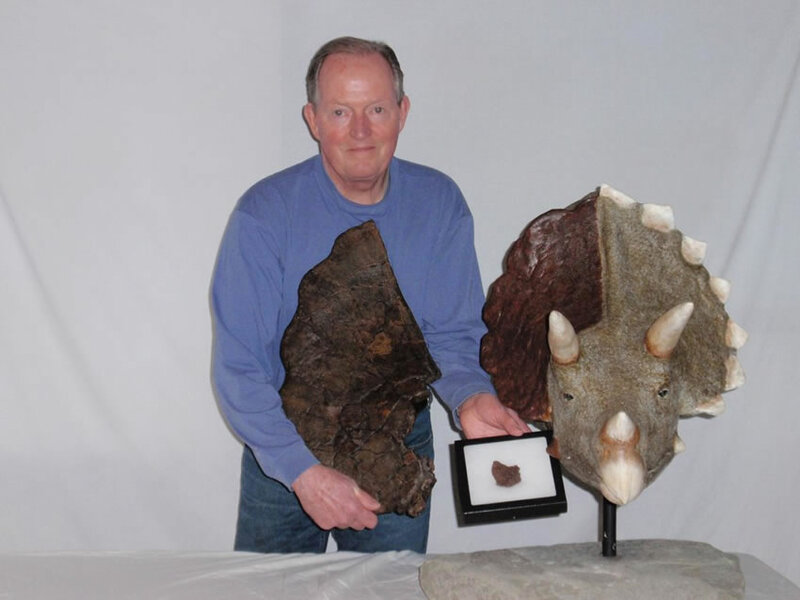 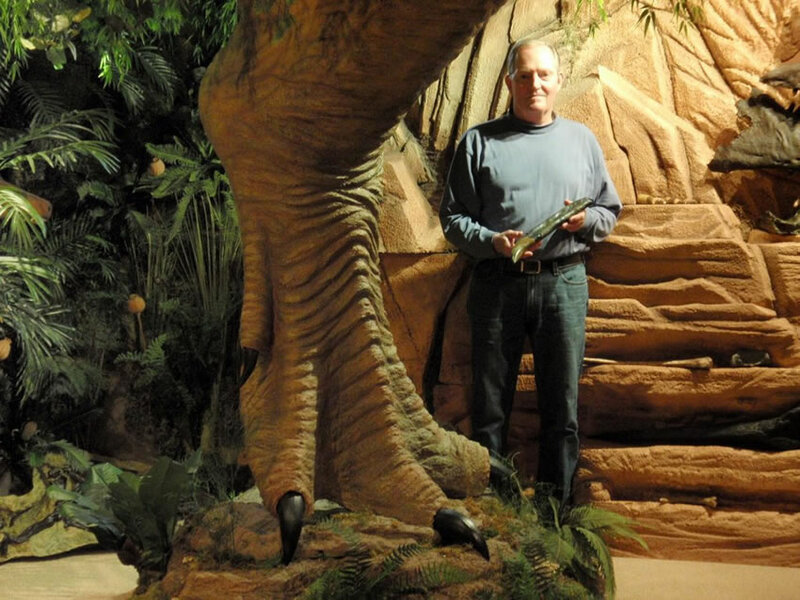 When Tom Hendershot retired from his position as a corporate executive, he found time to pursue a lifelong fascination with dinosaurs. 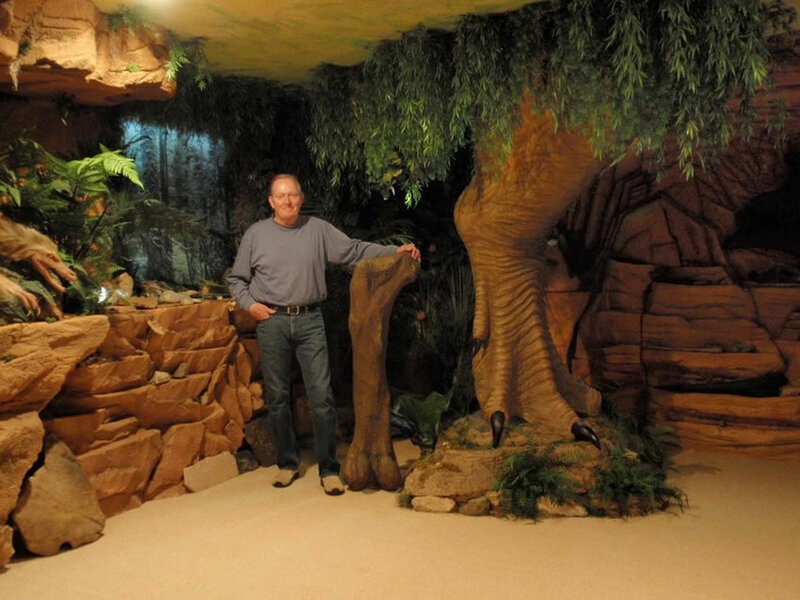 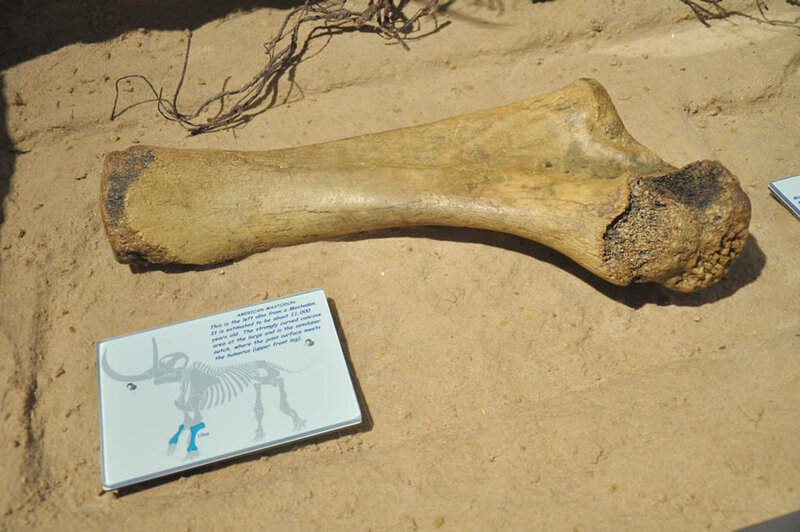 He started by collecting fossil casts and models. 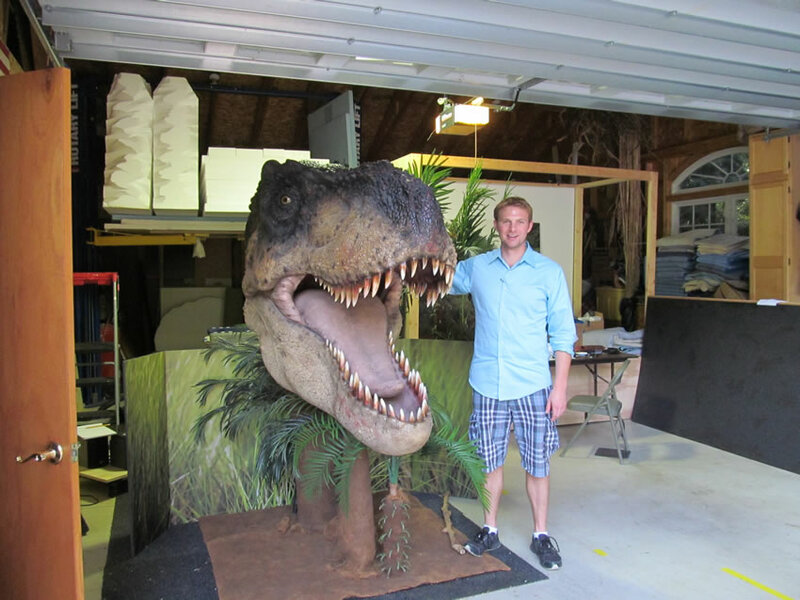 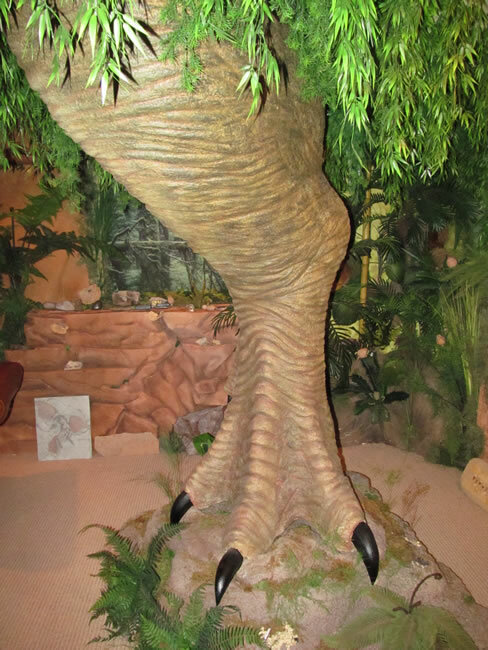 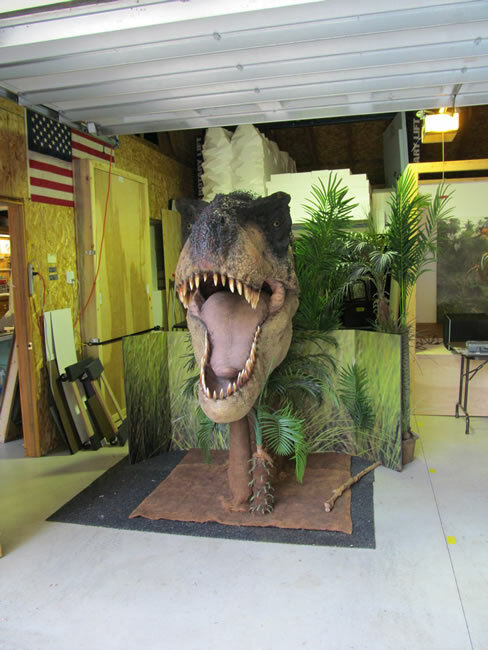 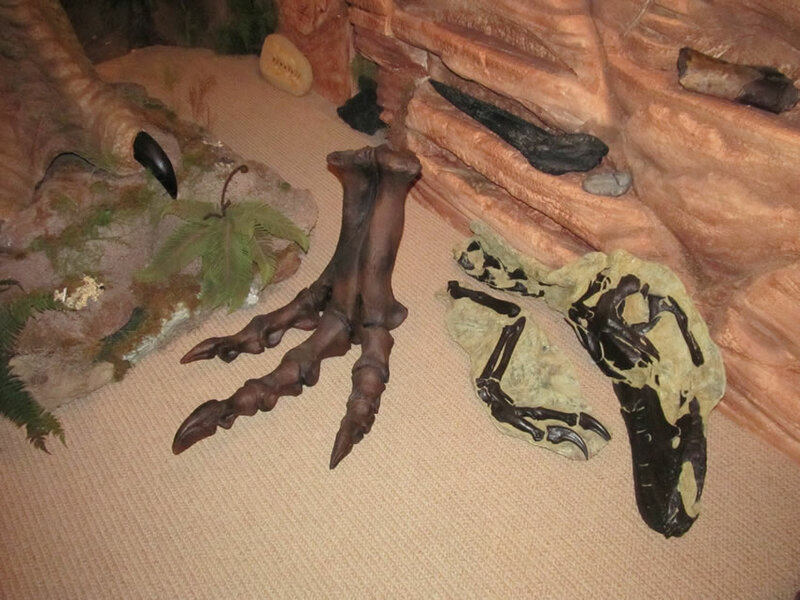 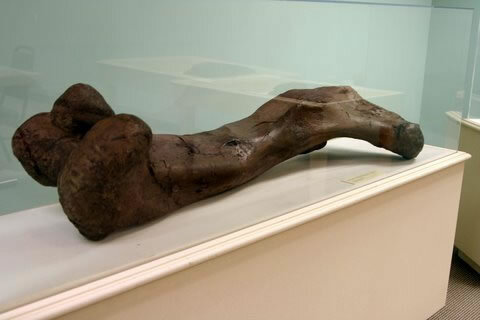 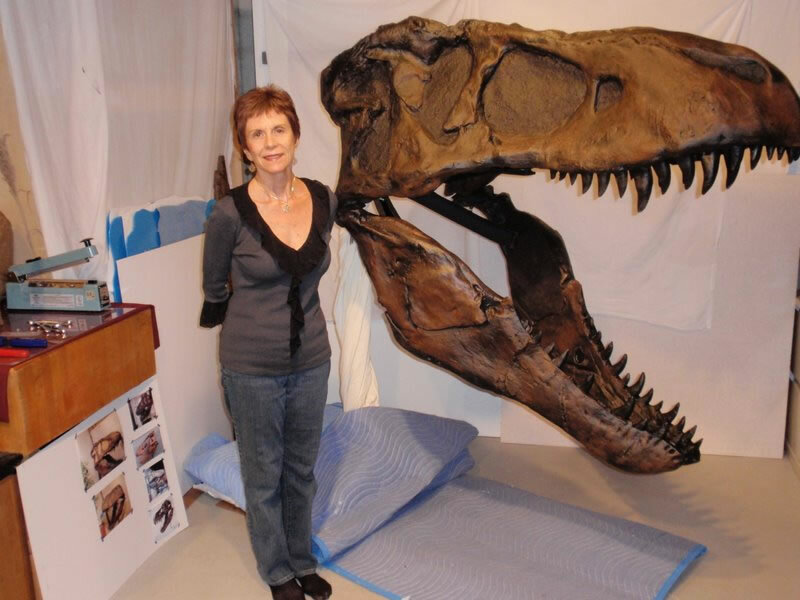 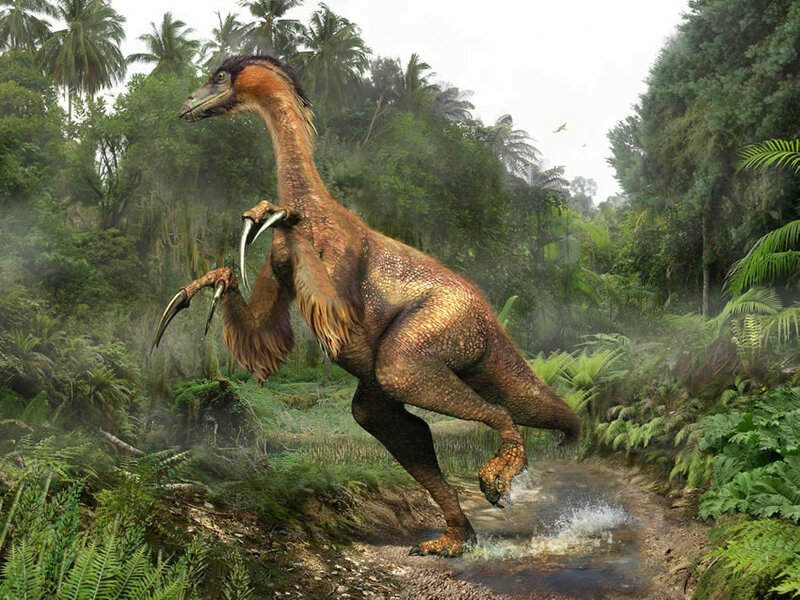 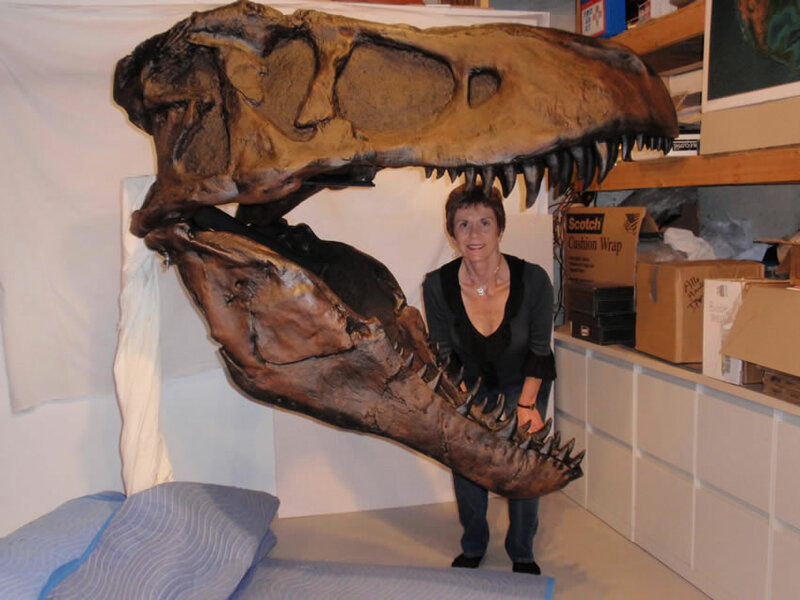 Then he teamed with sculptor John Schneider to develop a lifesize Tyrannosaurus Rex foot named Thunder. 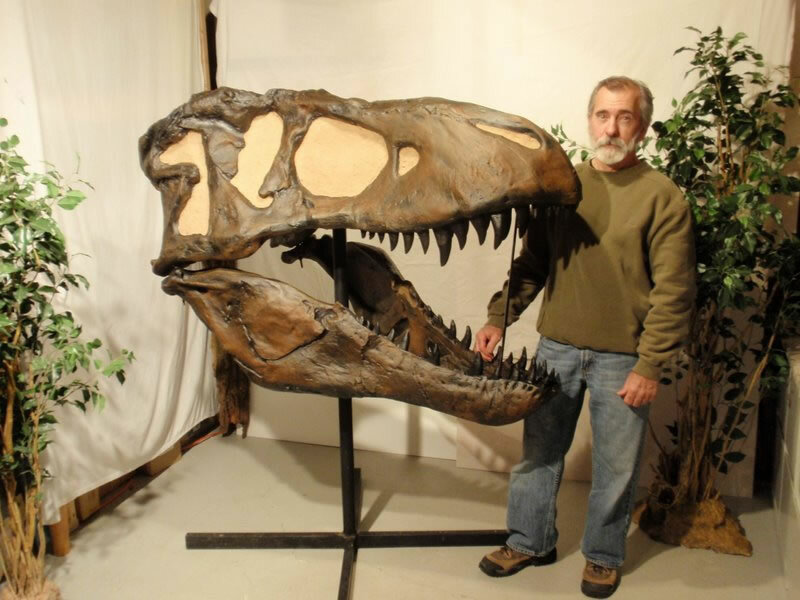 In fact, The Grand Rapids Press nicknamed Tom “Dino Man” in a 2005 feature story. 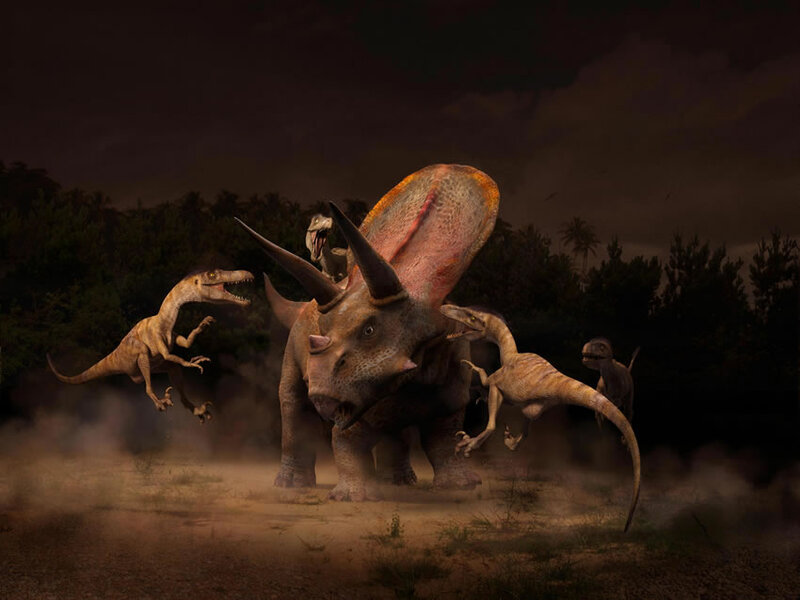 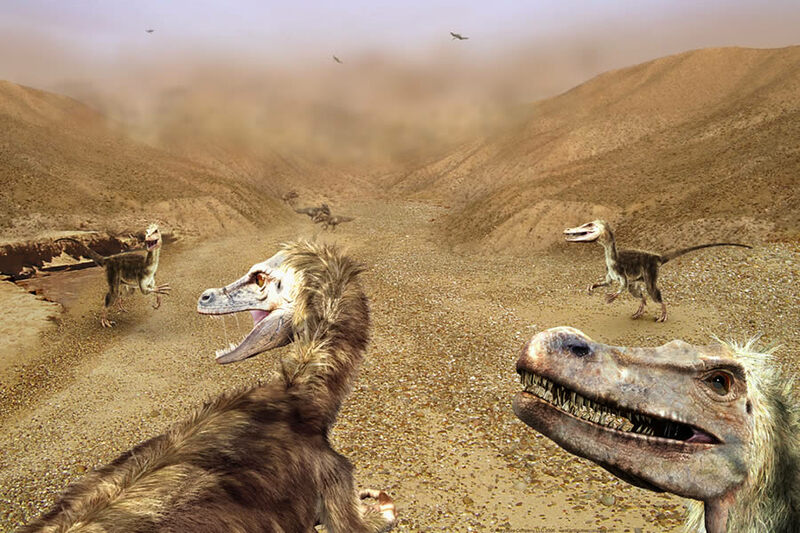 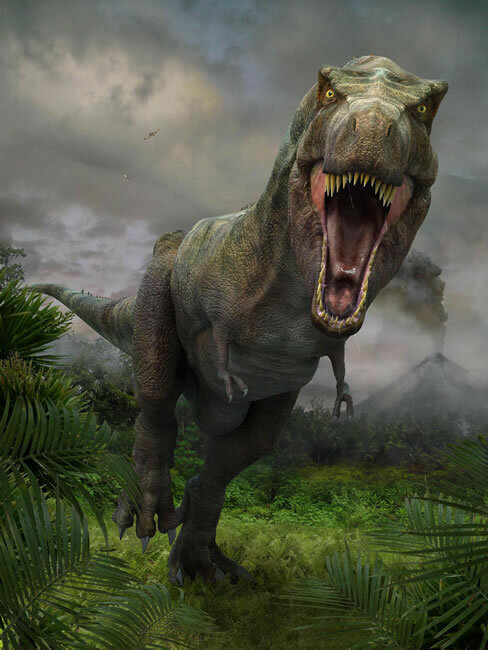 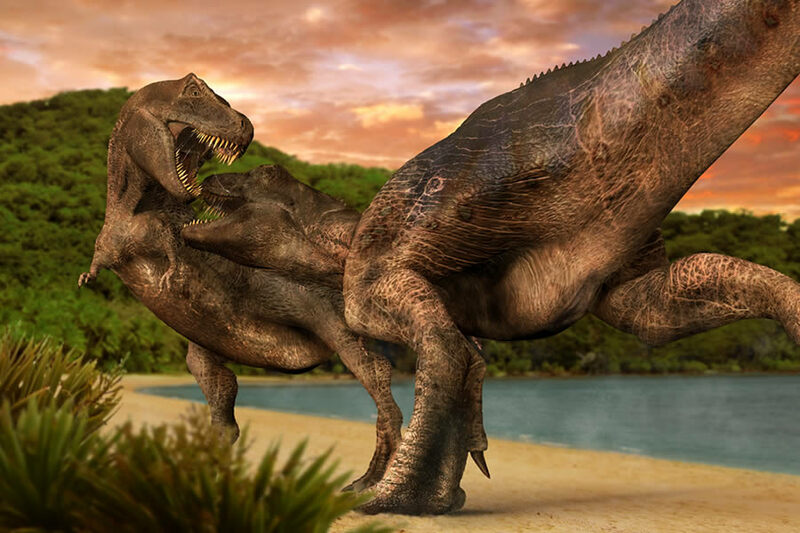 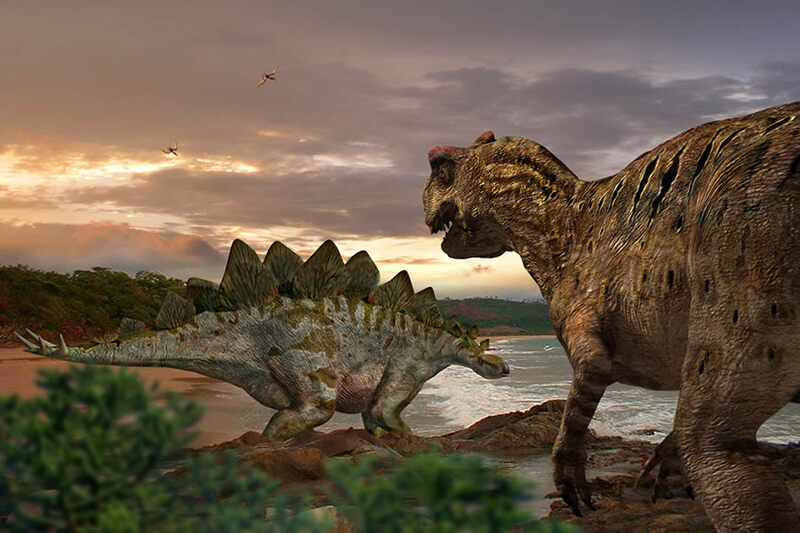 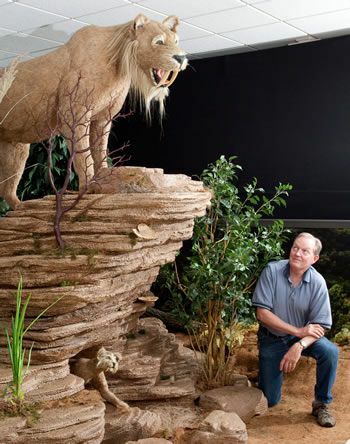 In 2006 he launched the Antiquities Company’s first product offering, The Prehistoria Collection, a collection of digitally created dinosaur posters. 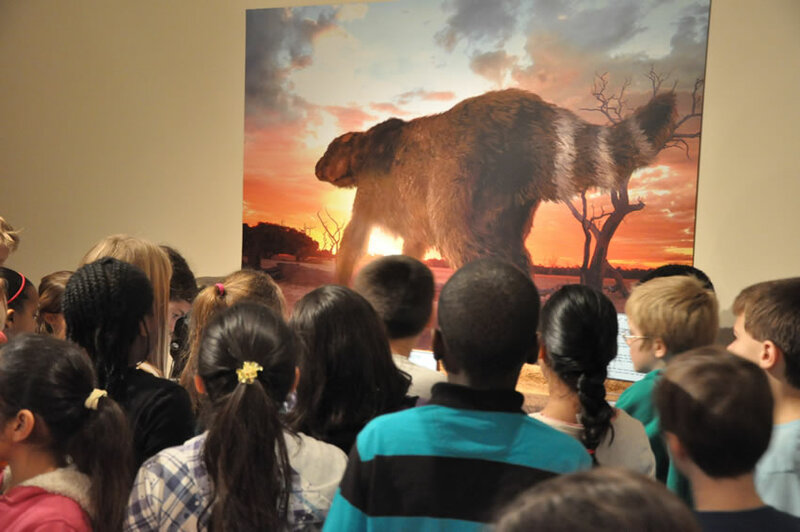 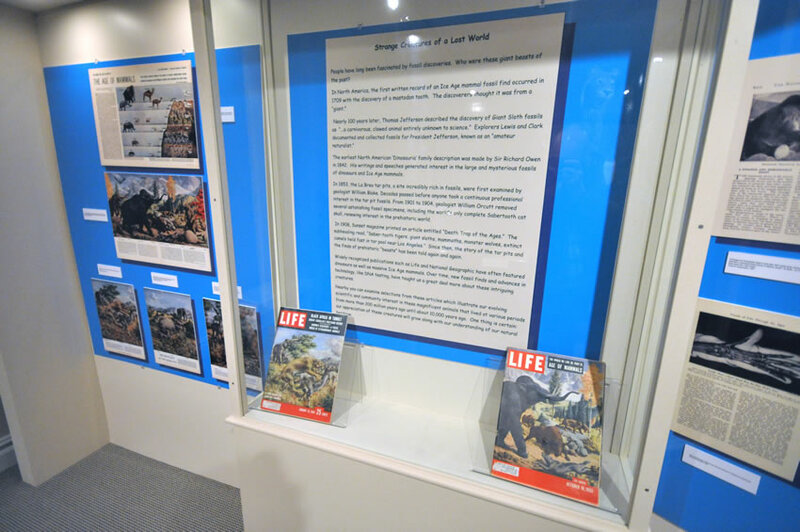 The Prehistoria posters were a hit, selling in museums across the country. 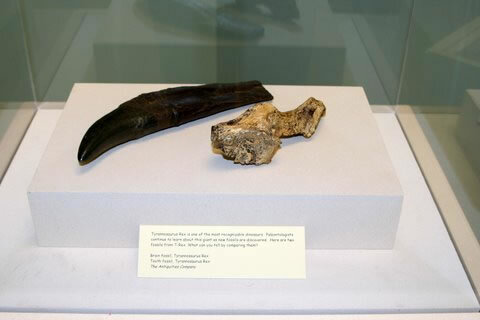 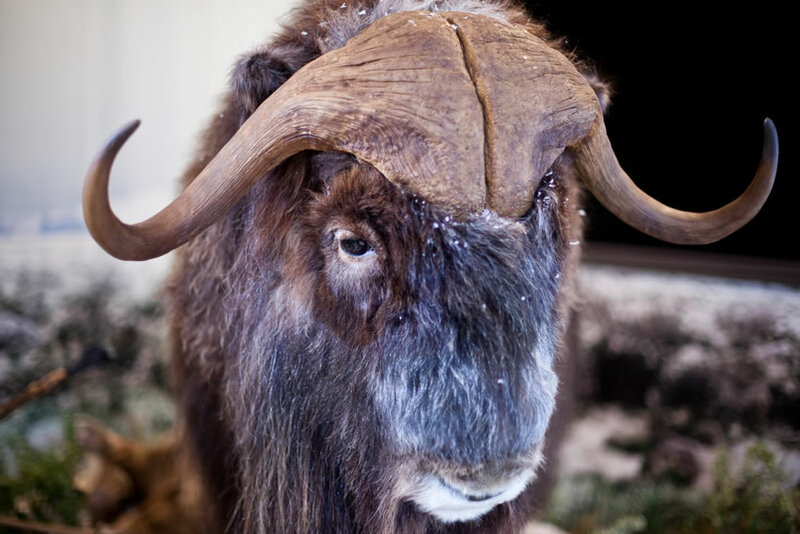 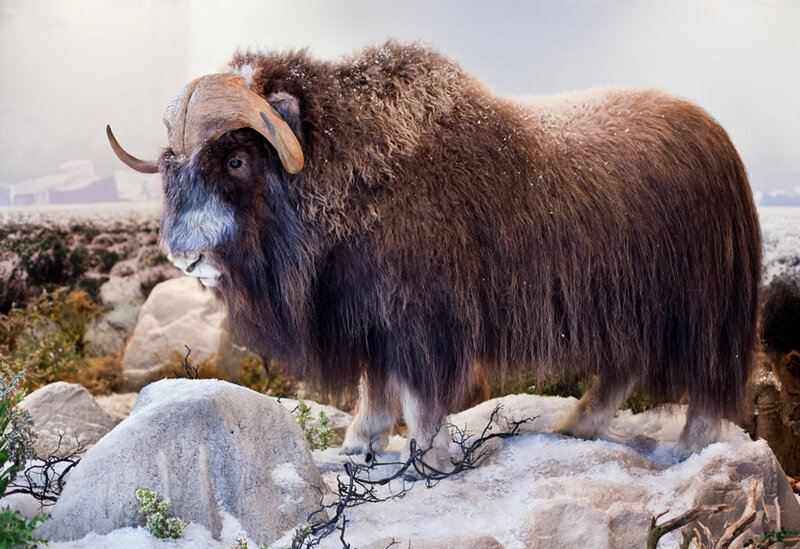 From there, Tom turned his focus to full-scale museum exhibits, first developing Sabra, a life-size saber-toothed cat with two cubs, followed shortly thereafter by an Ice Age musk ox. 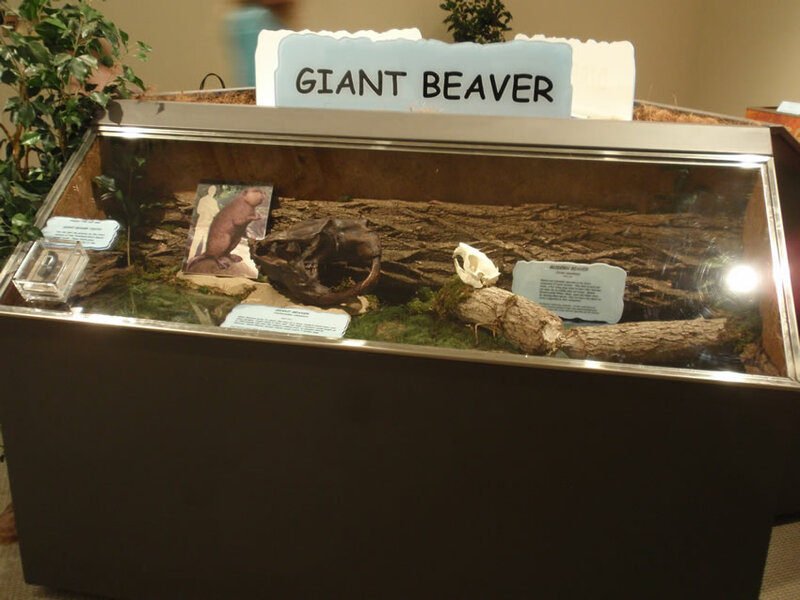 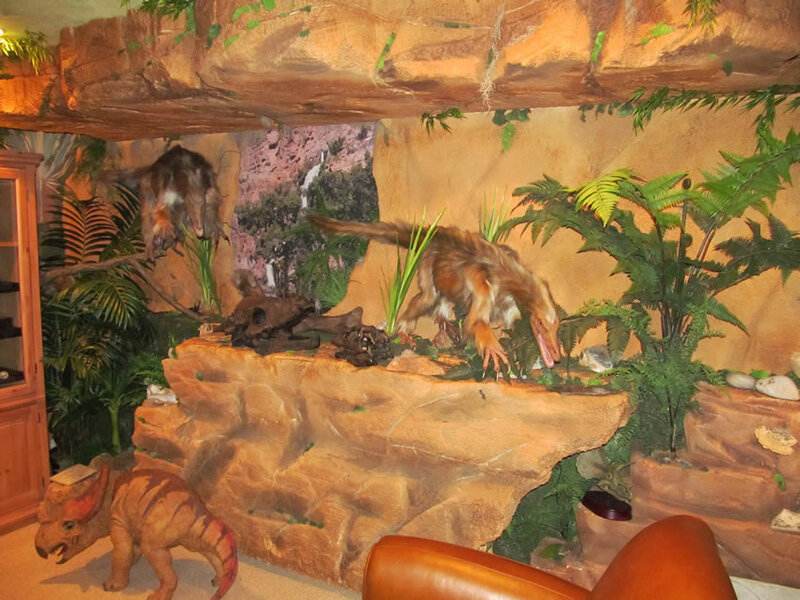 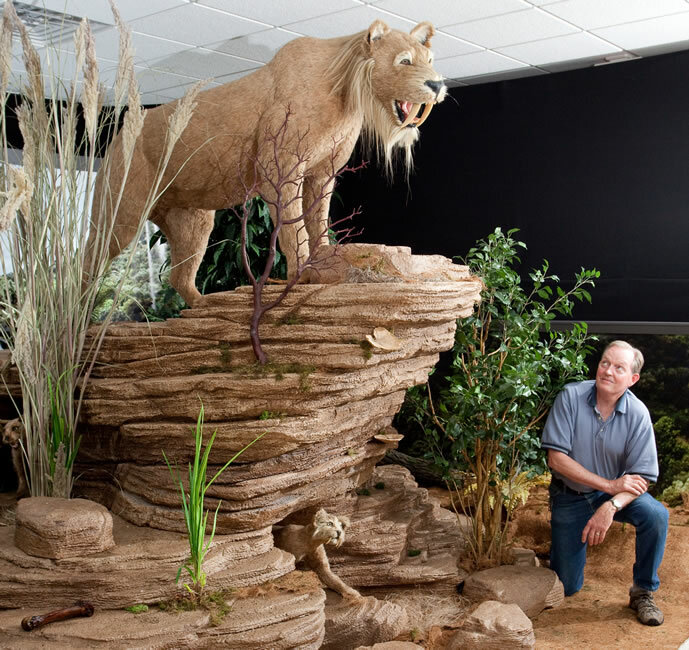 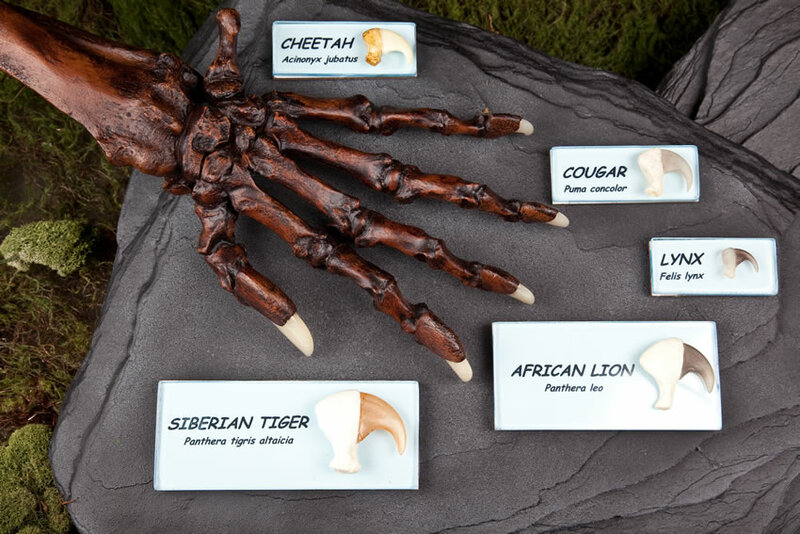 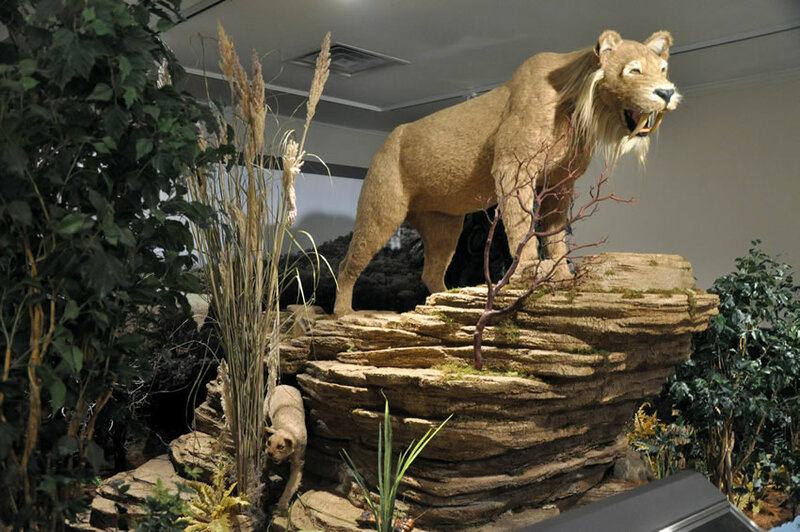 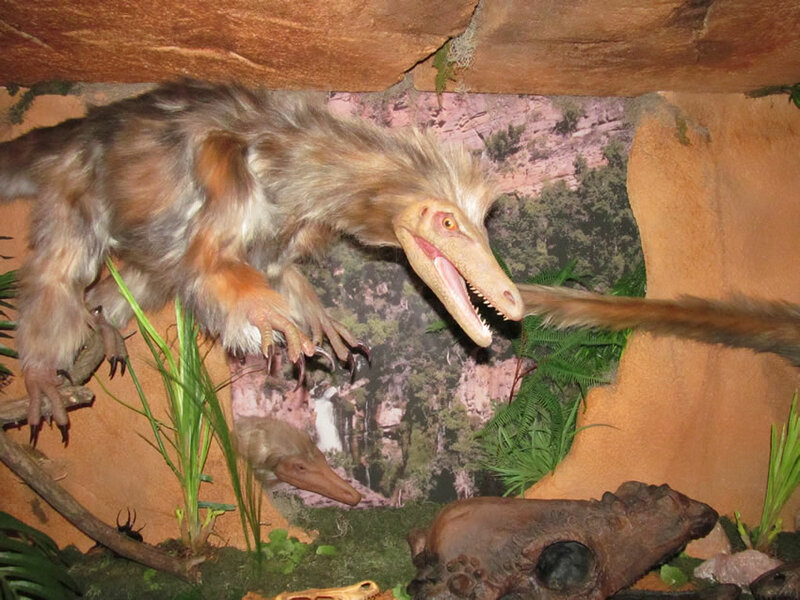 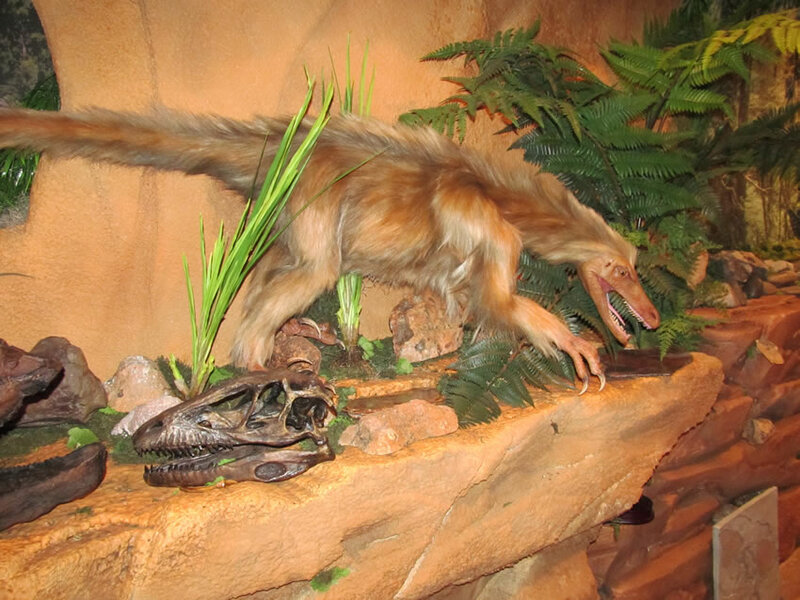 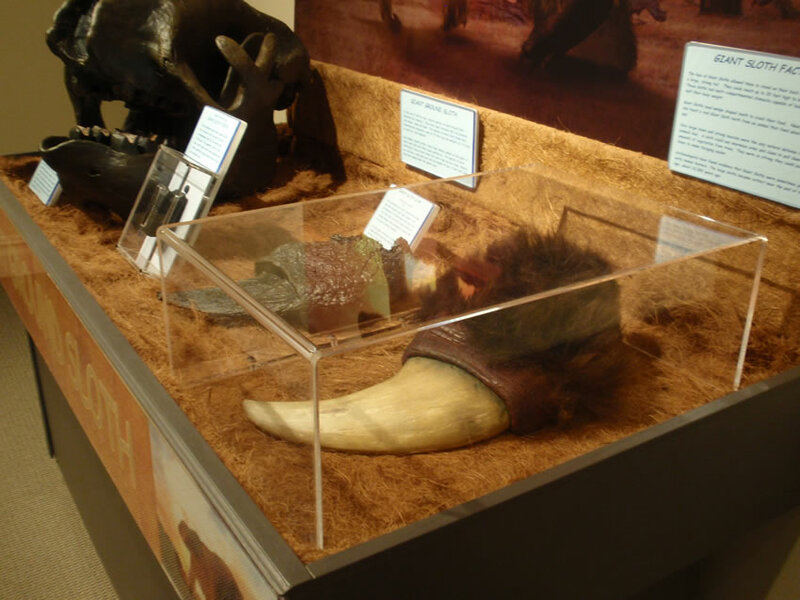 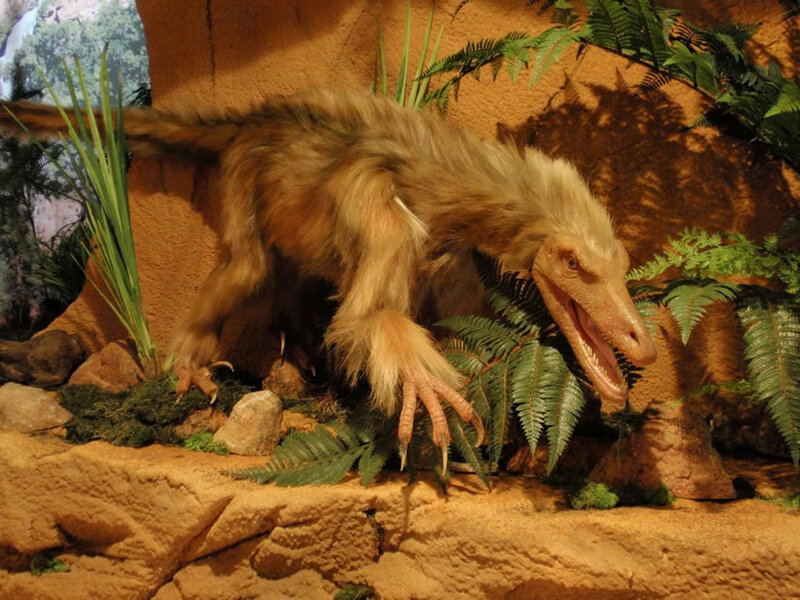 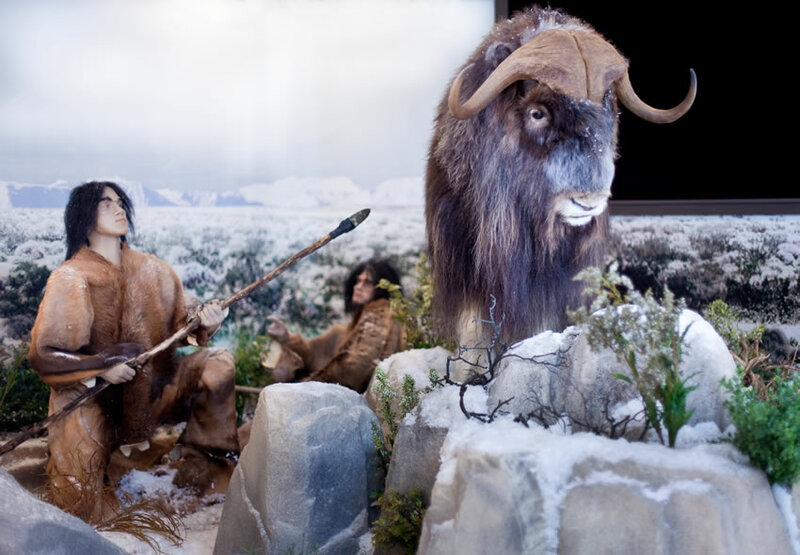 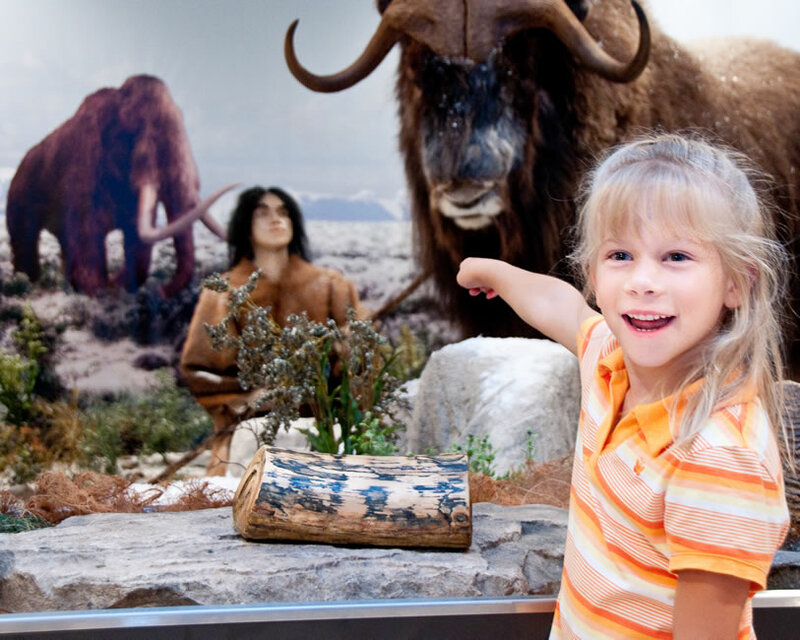 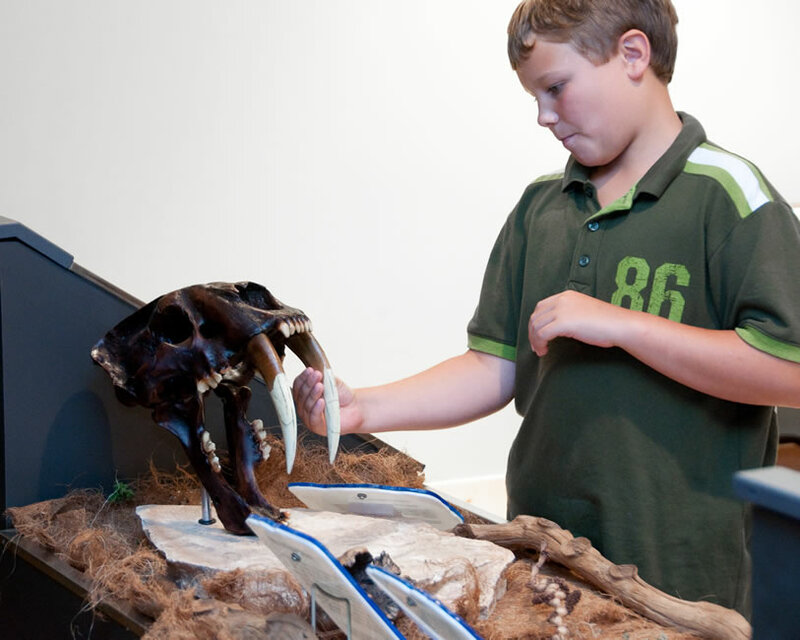 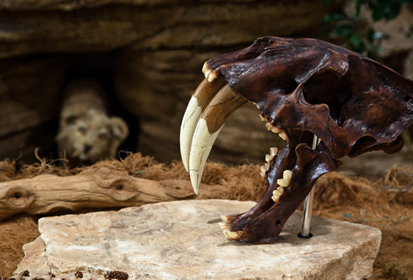 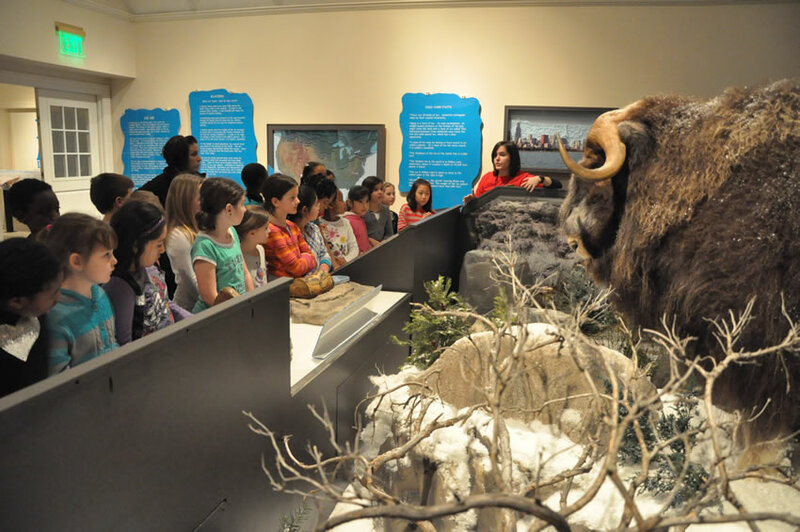 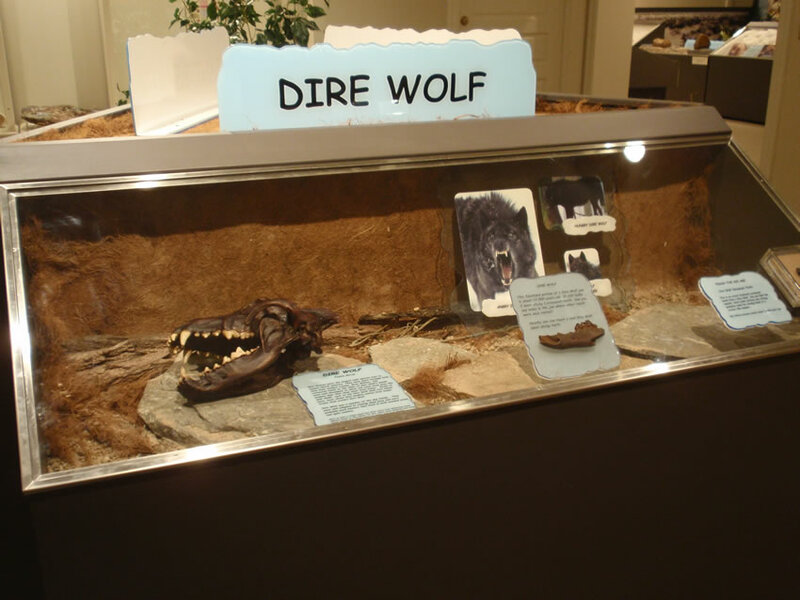 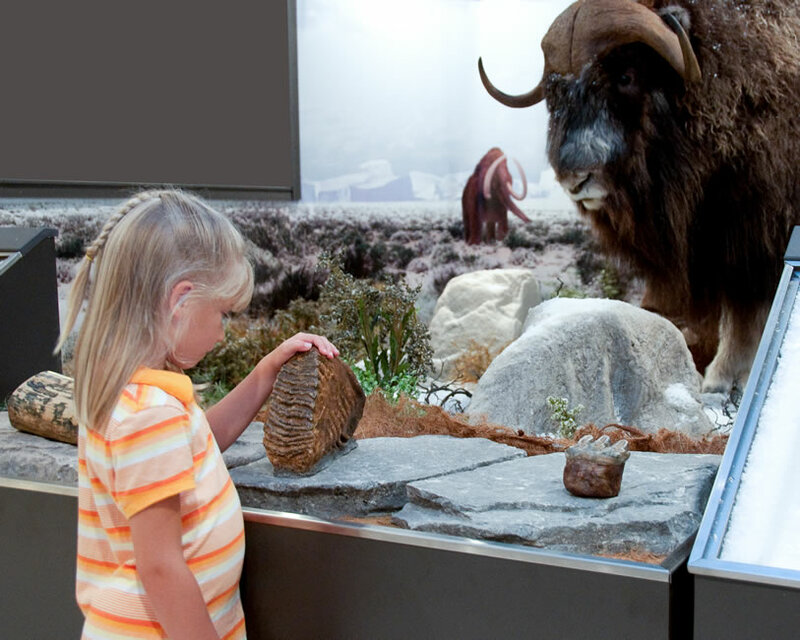 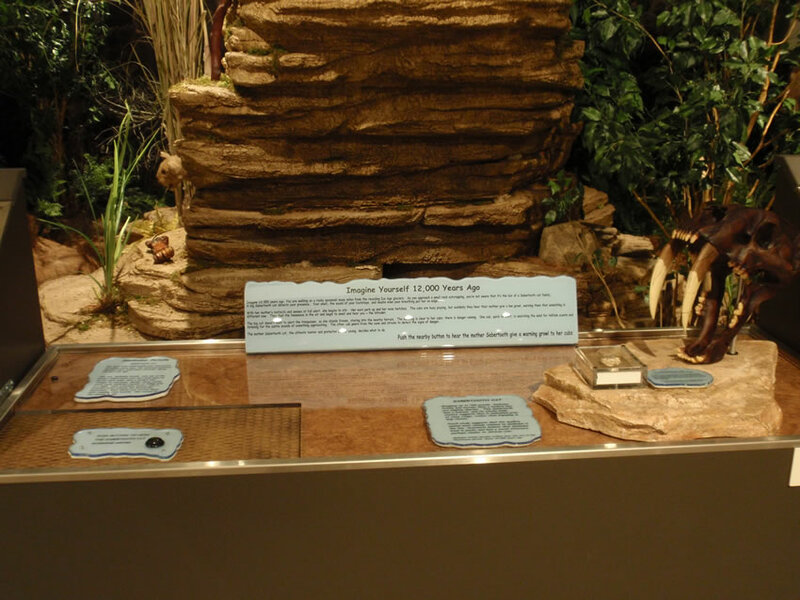 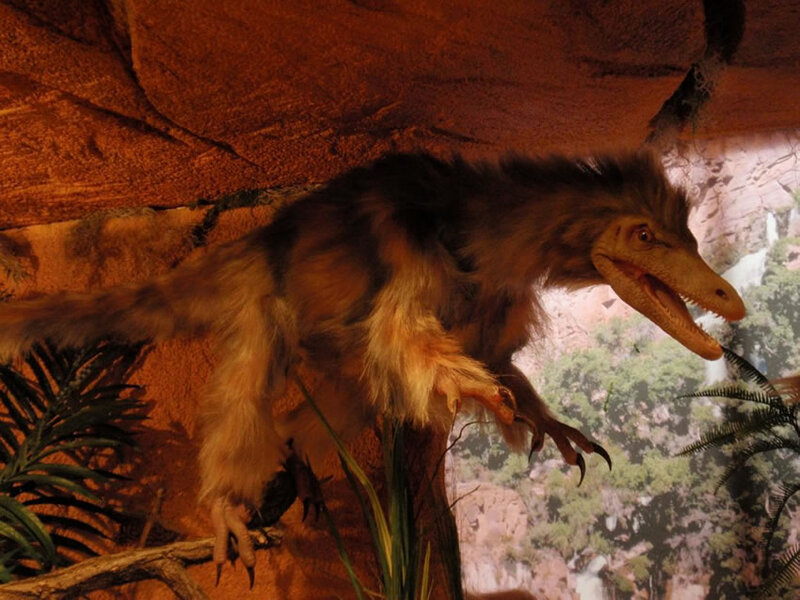 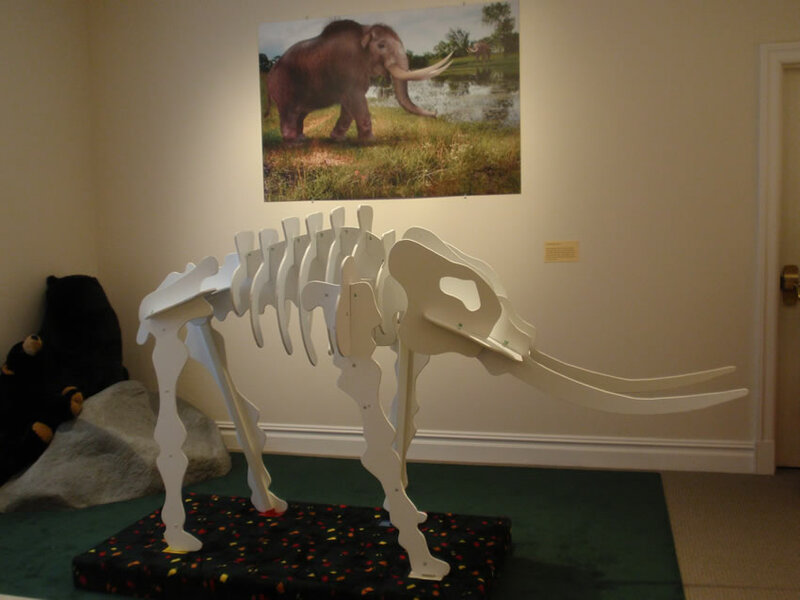 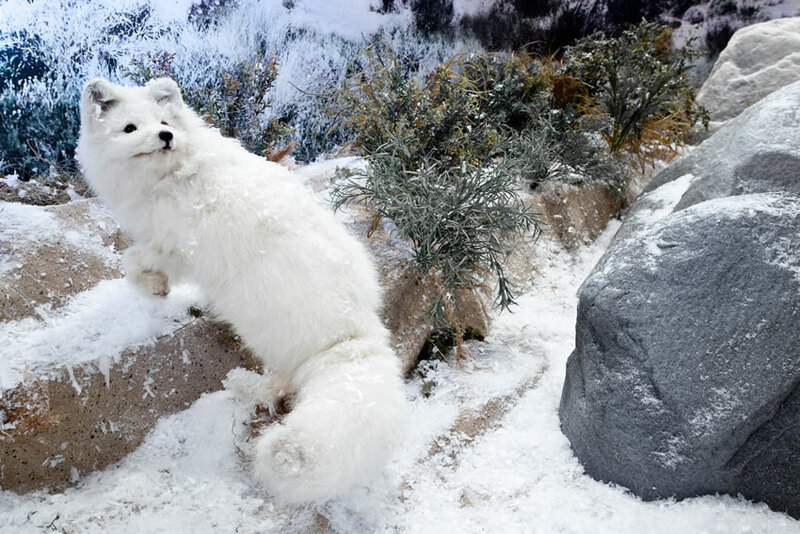 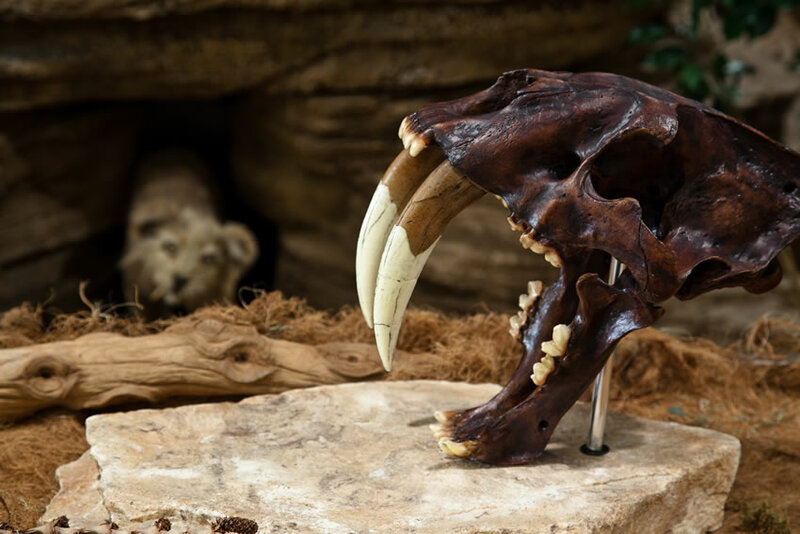 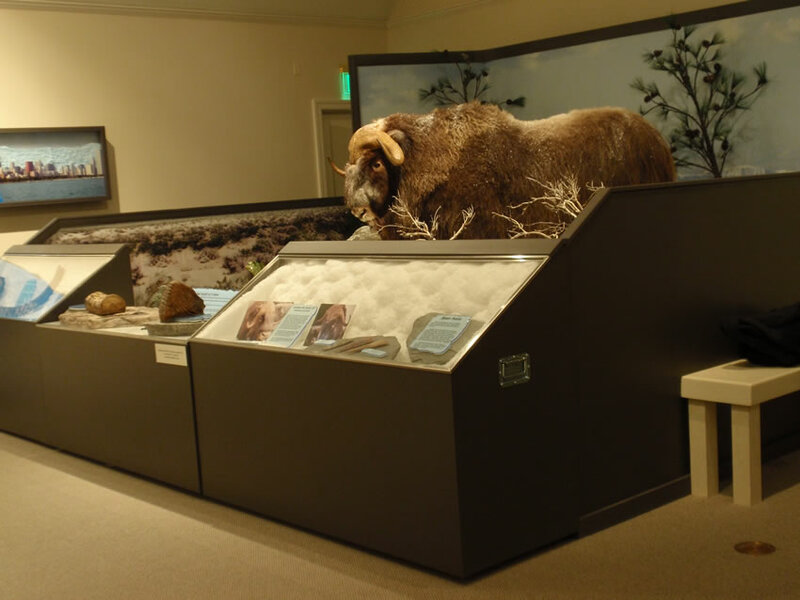 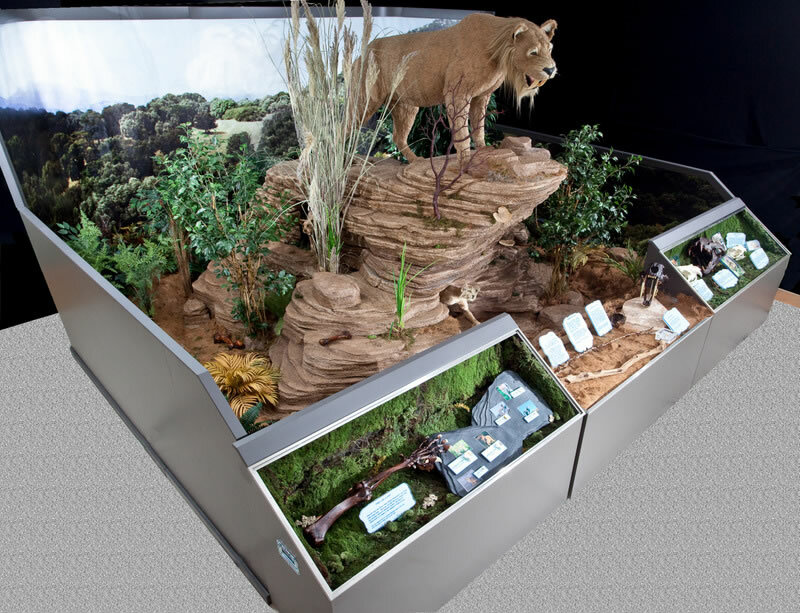 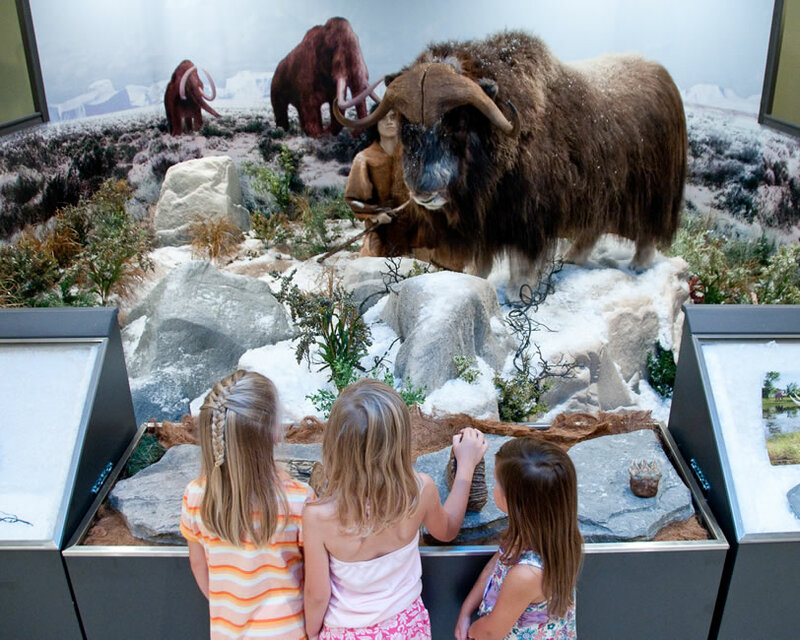 These two creations are focal points in the centerpiece dioramas that form the core of Ice Age Imperials, a traveling exhibition that combines lifelike reproductions with actual fossils and interactive, educational components that bring the Ice Age to life. 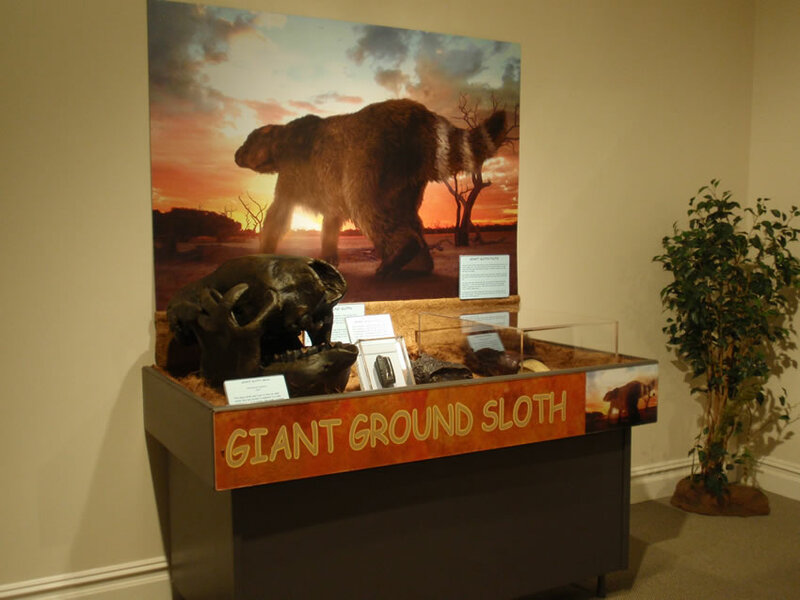 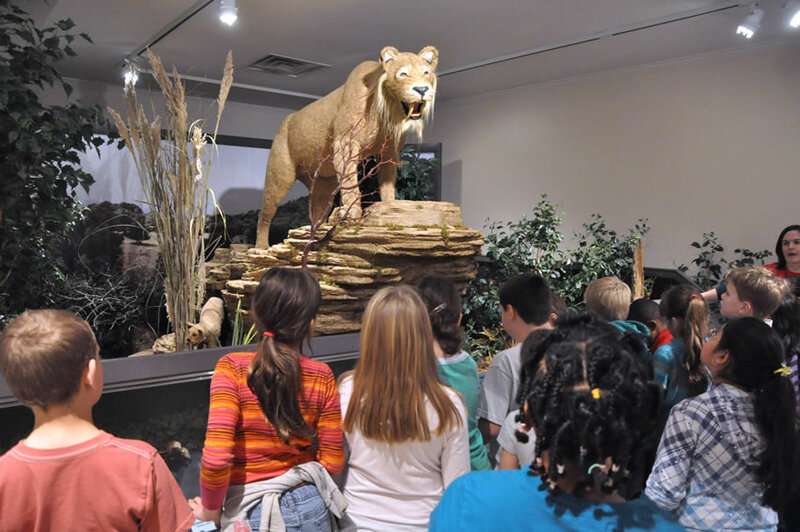 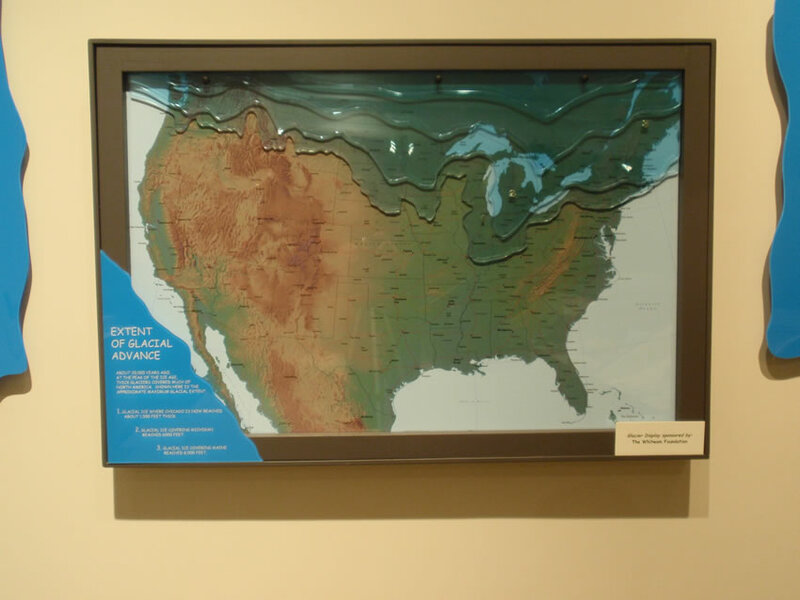 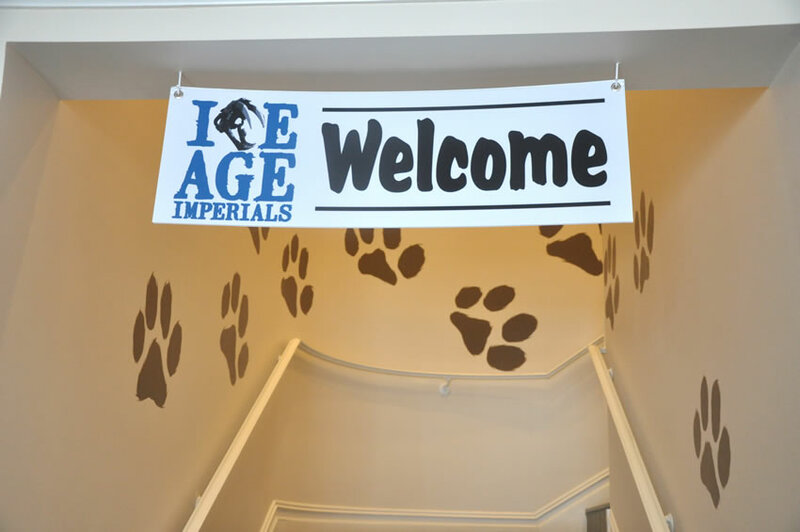 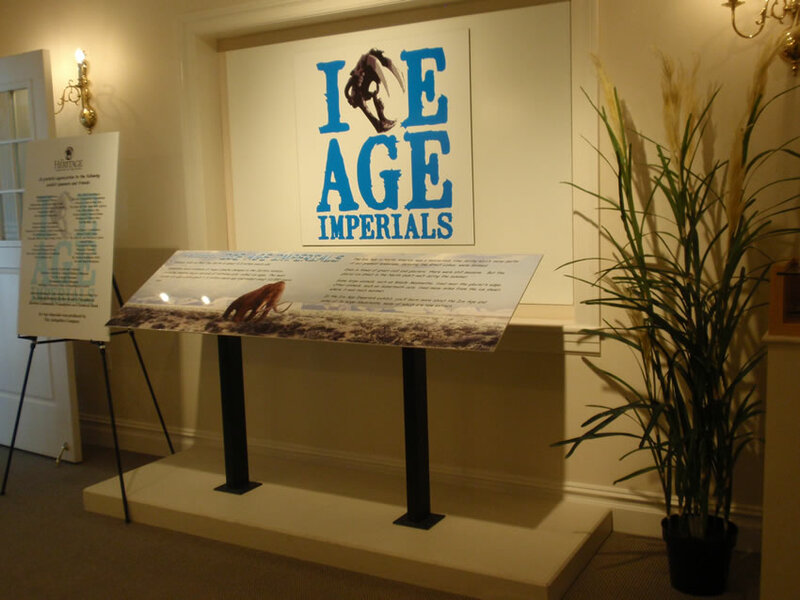 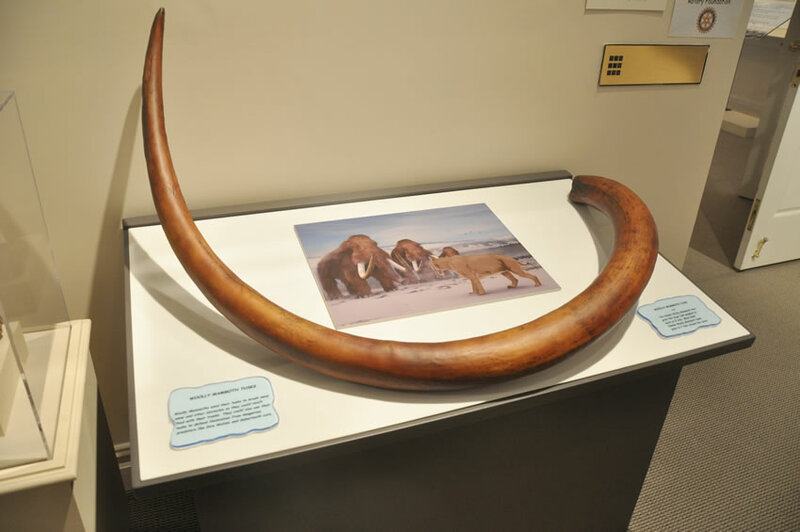 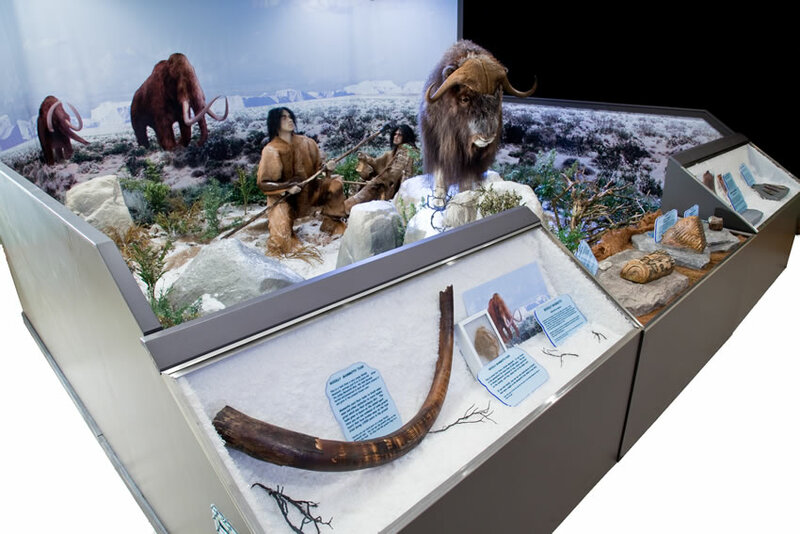 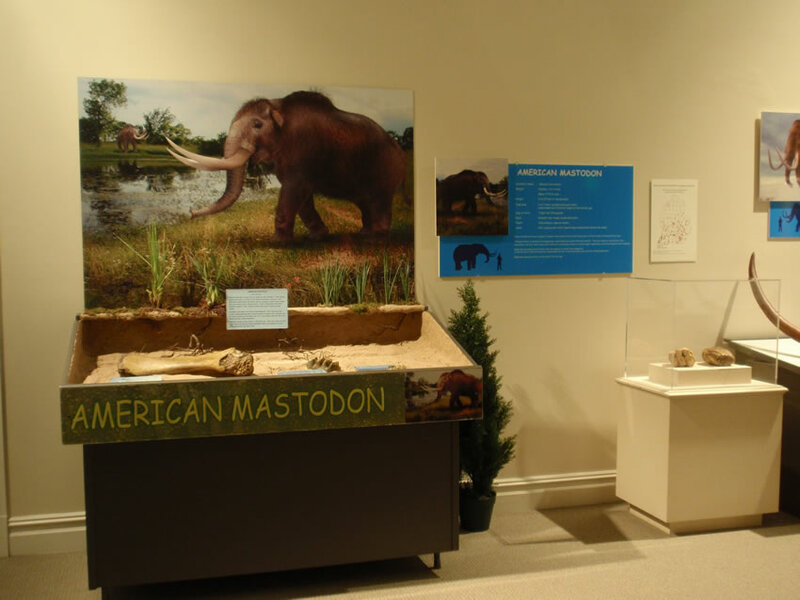 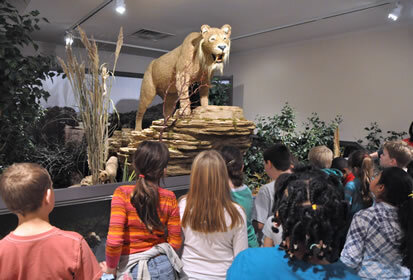 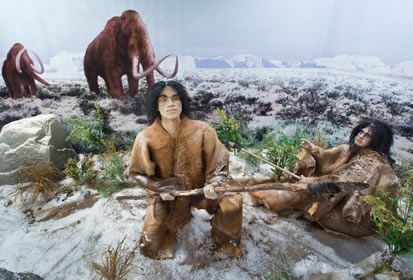 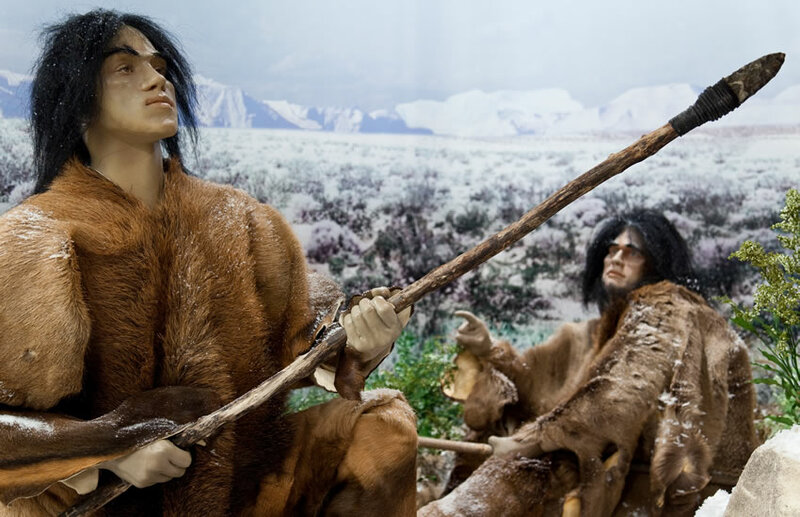 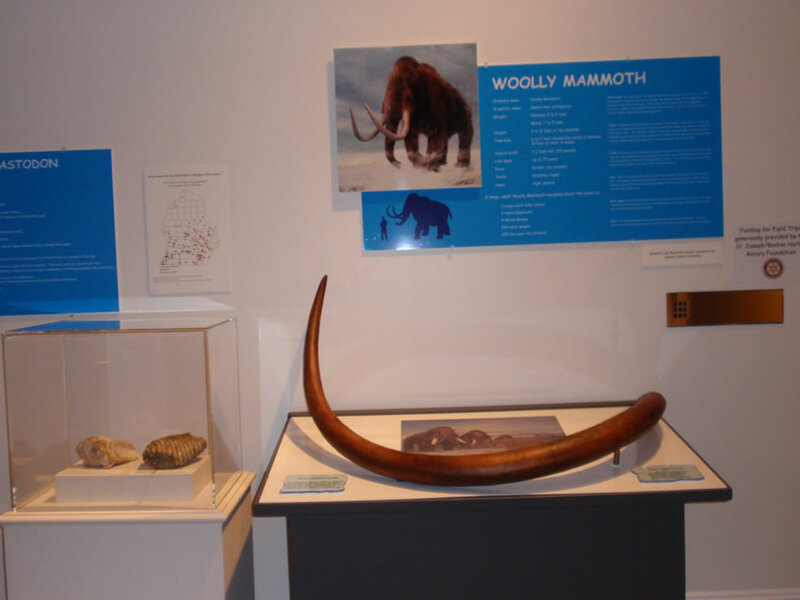 Debuting as a completed exhibit for the first time in 2011, Ice Age Imperials has been featured at museums on the East coast as well as in the Midwest and Central states. 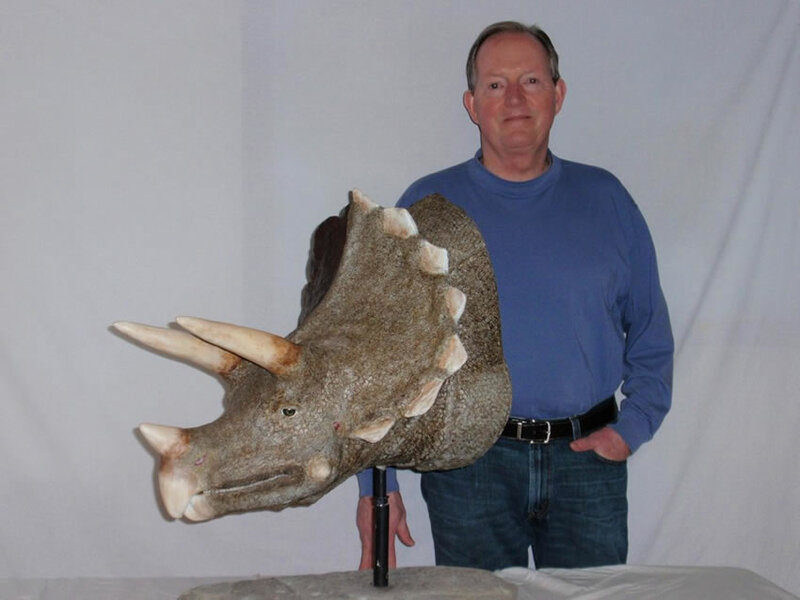 Tom recently completed 'Amazing Dinosaurs! 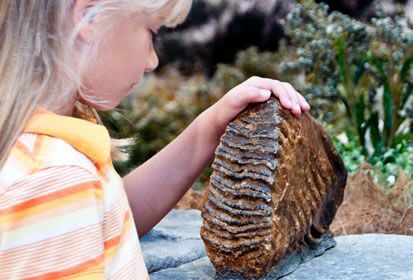 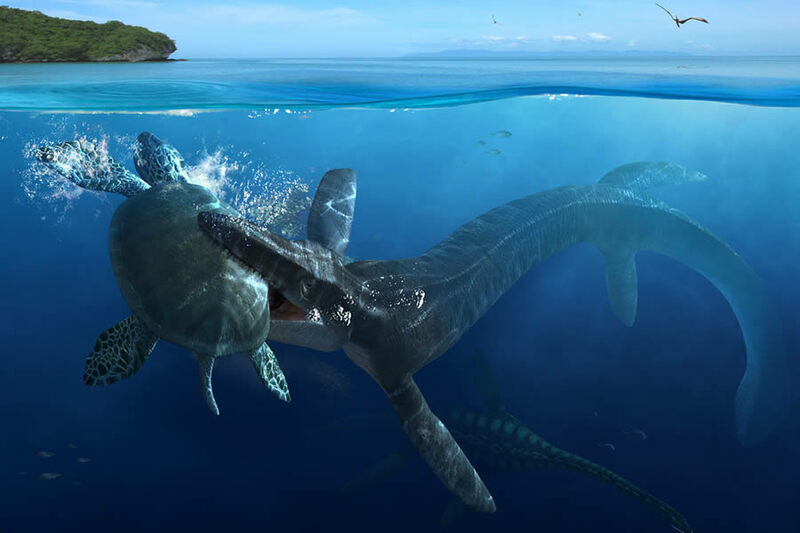 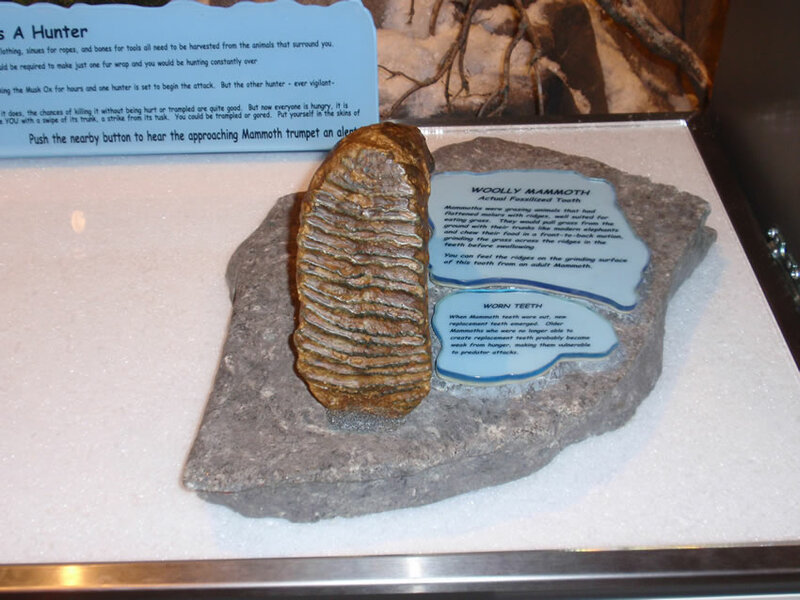 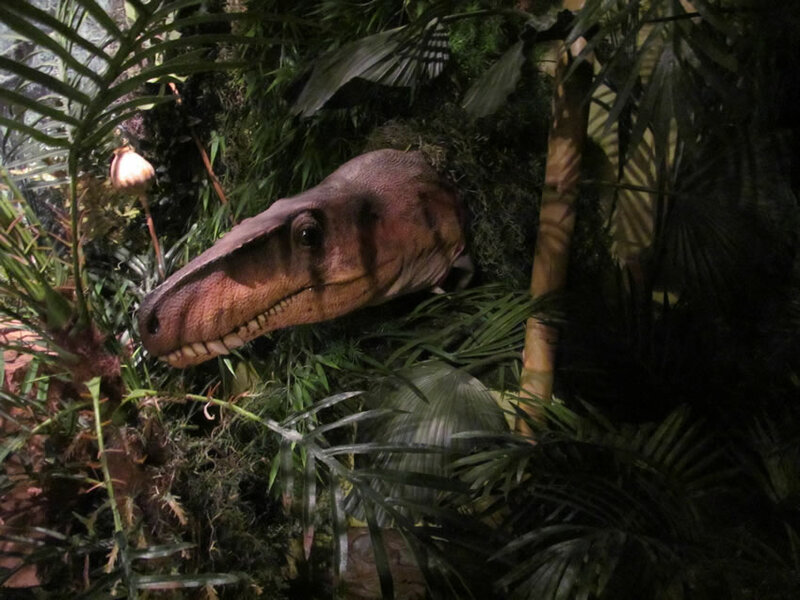 ', an exciting traveling exhibit filled with exploration, discovery and lots of interaction with real dinosaur fossils from several periods in Earth's history. 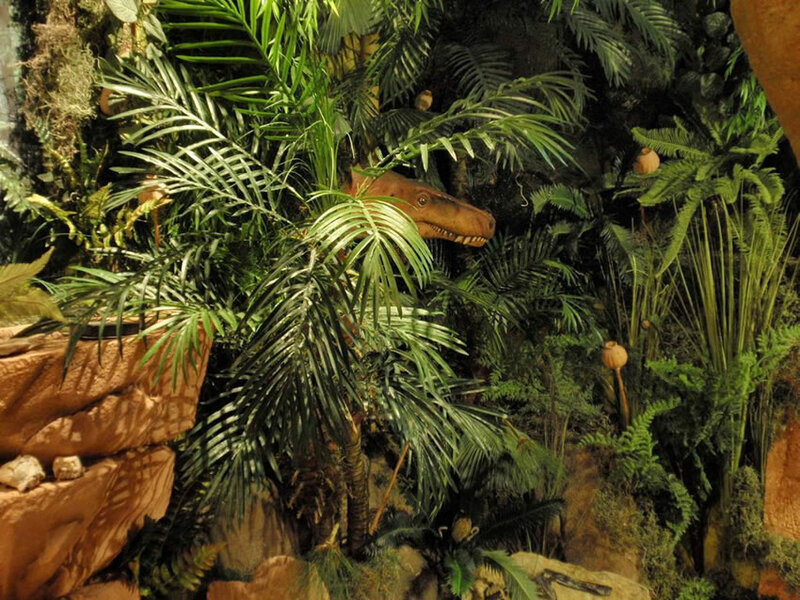 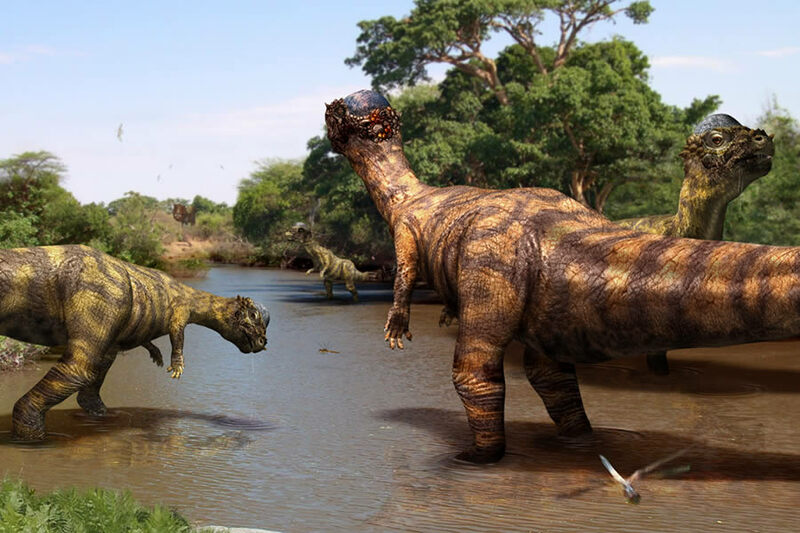 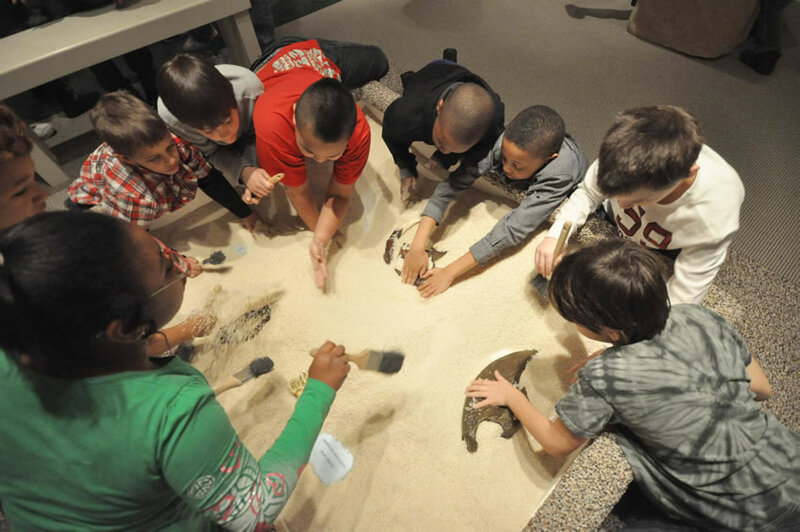 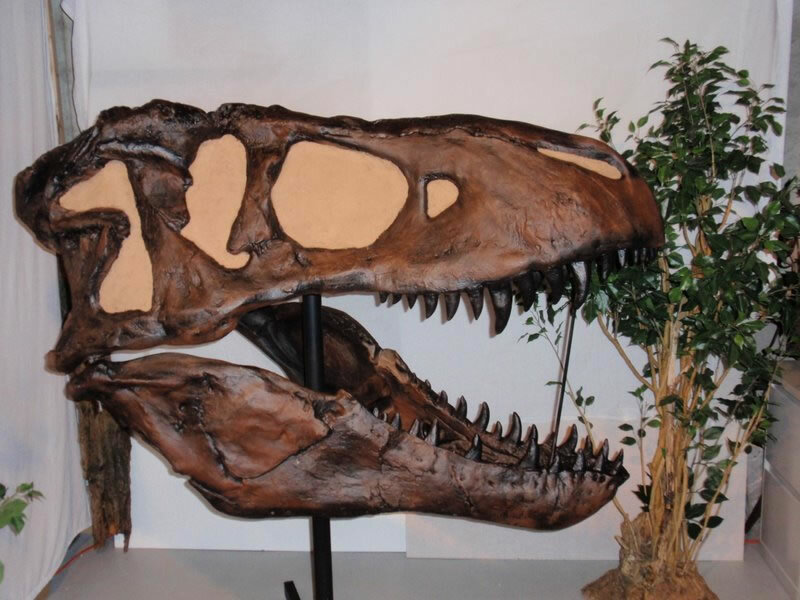 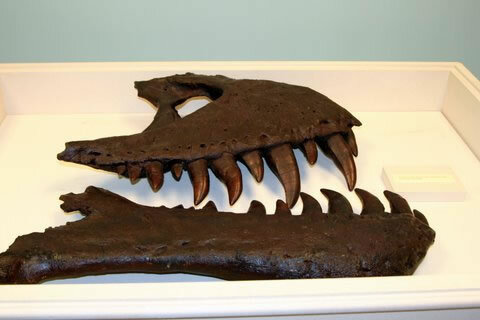 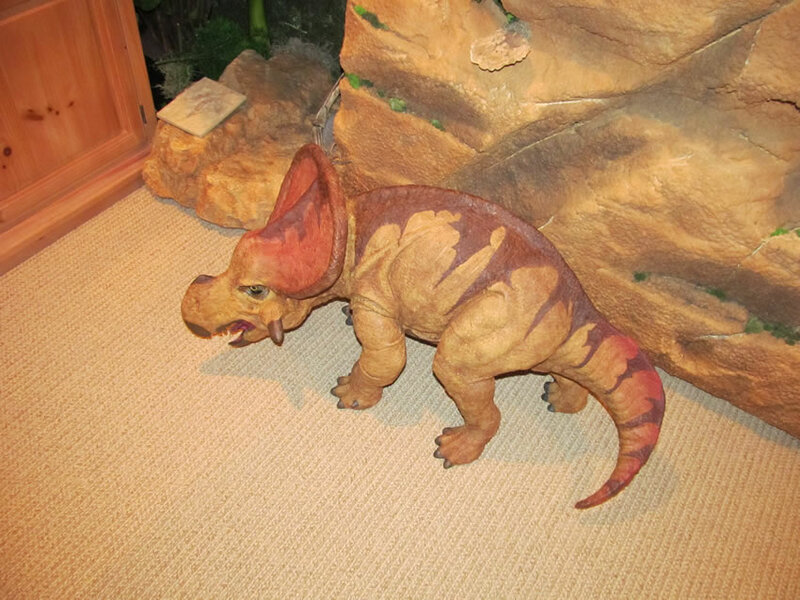 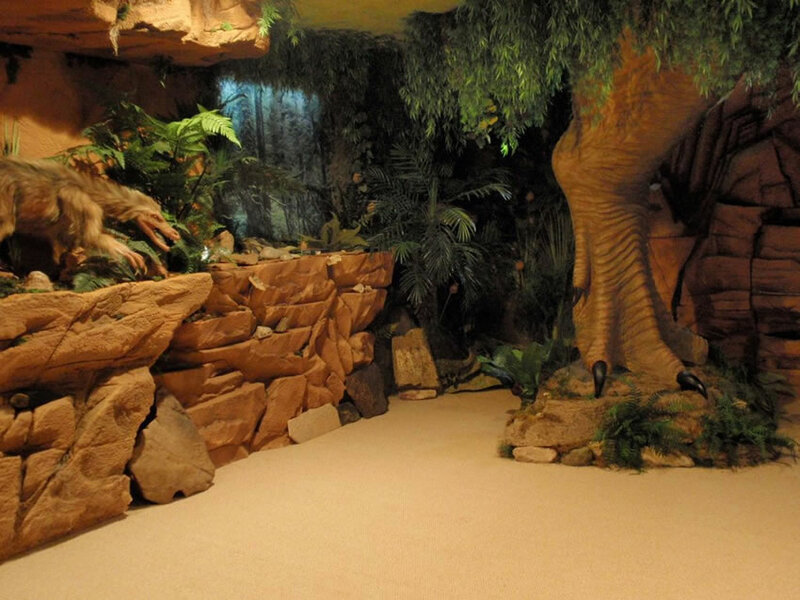 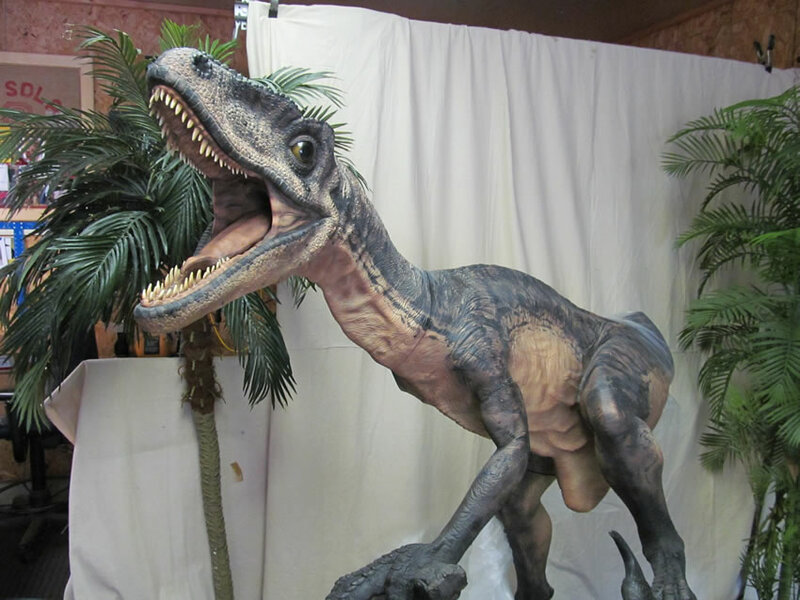 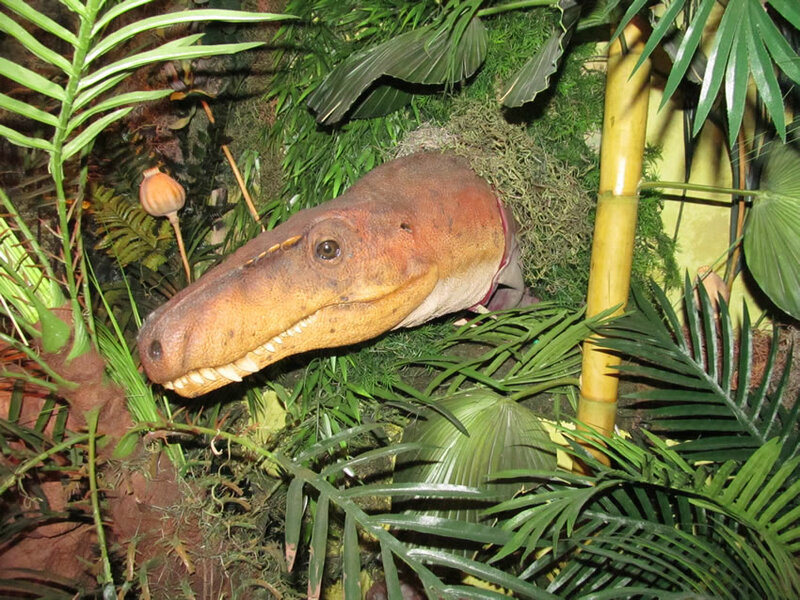 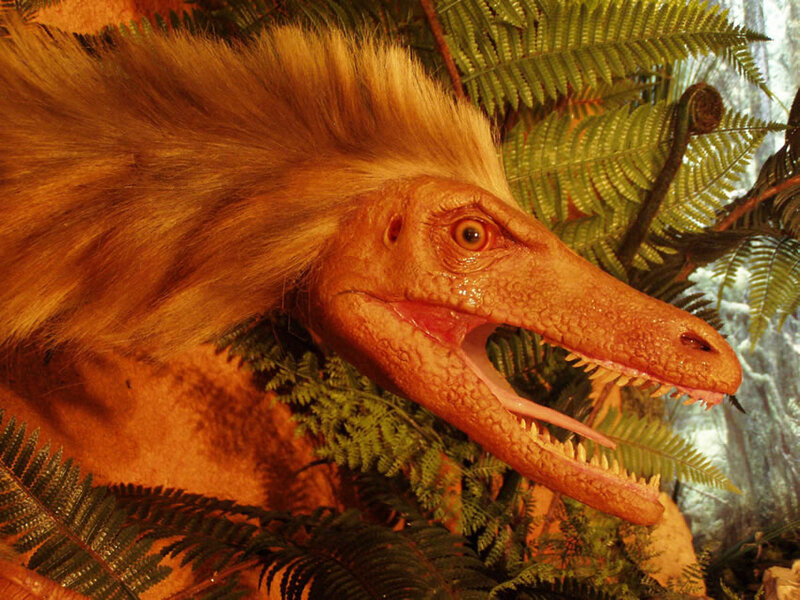 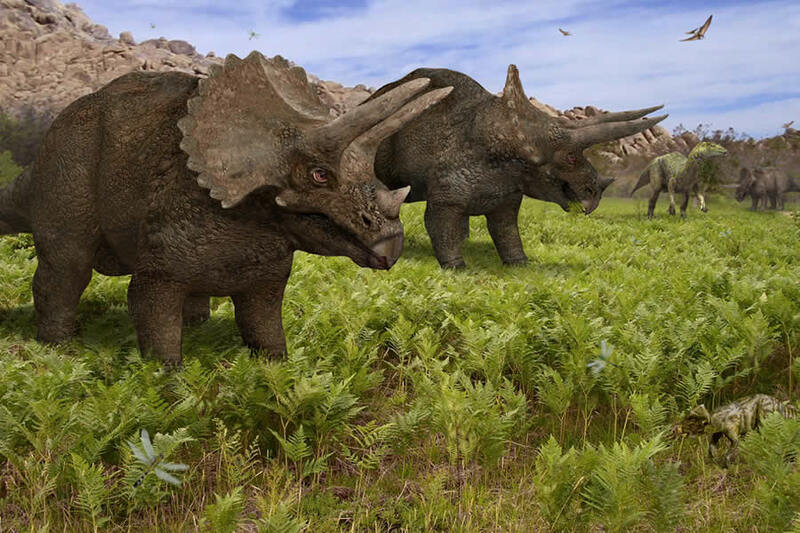 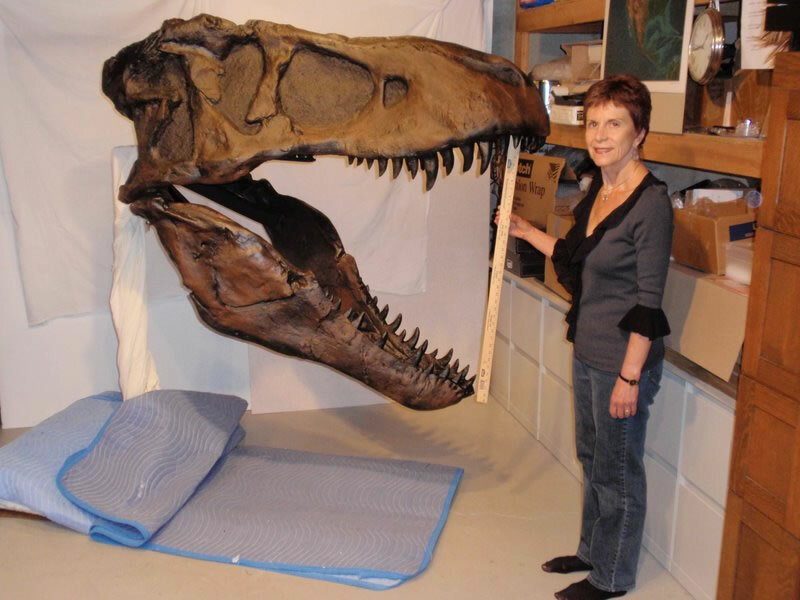 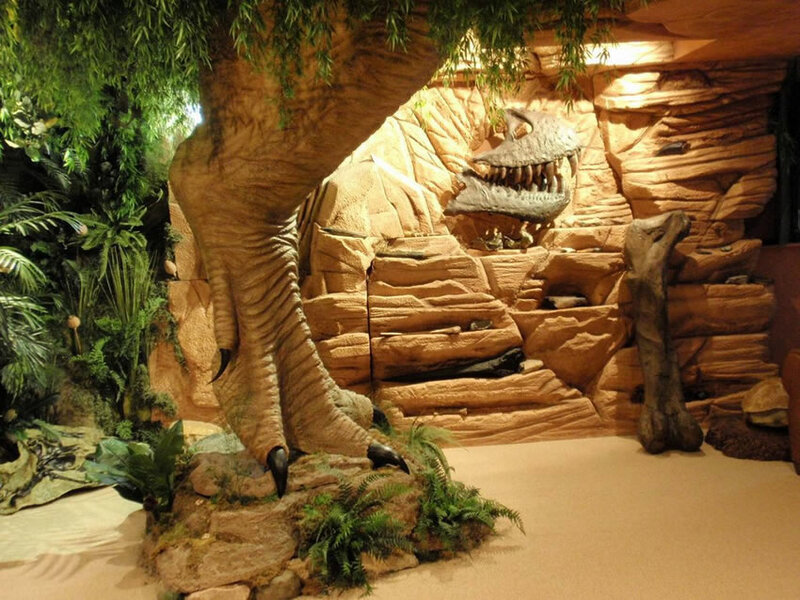 Designed for science and discovery centers as well as children's museums, Amazing Dinosaurs! 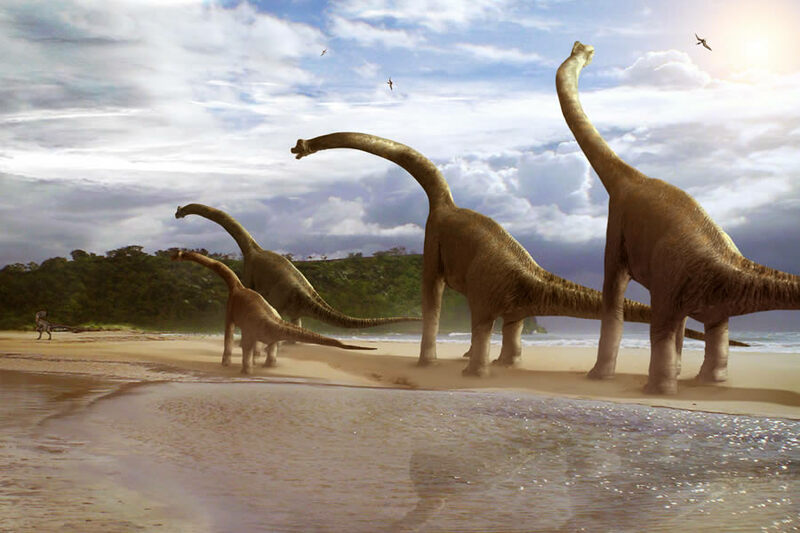 was introduced to the world in May, 2016. 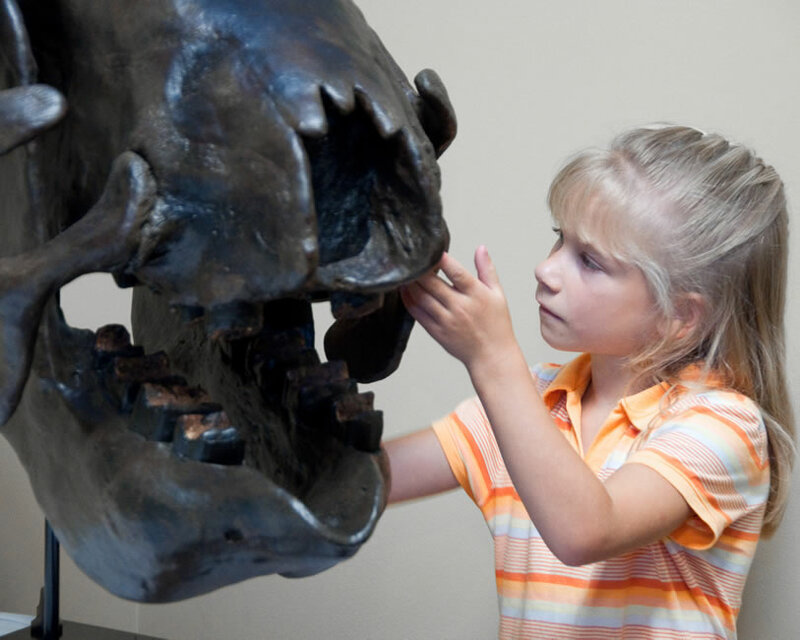 We believe that exploration and discovery stimulate learning and expand understanding of our planet and our place in its history. 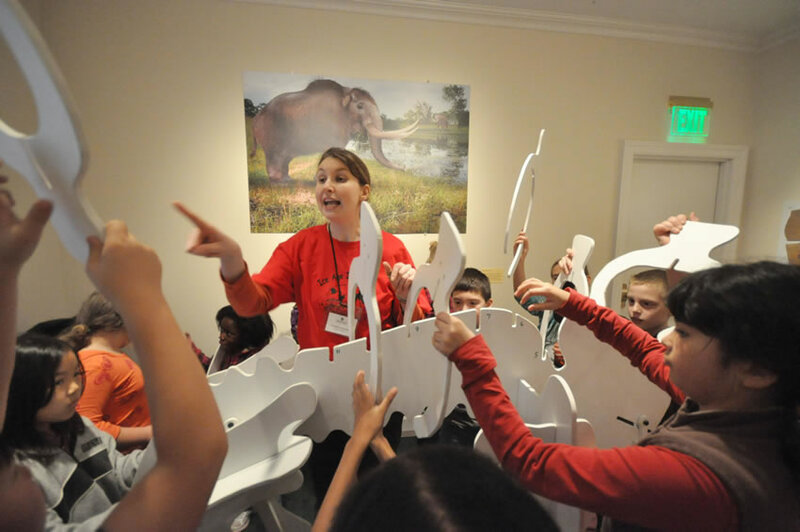 Our core passion is creating exciting, interactive and inspiring learning opportunities. 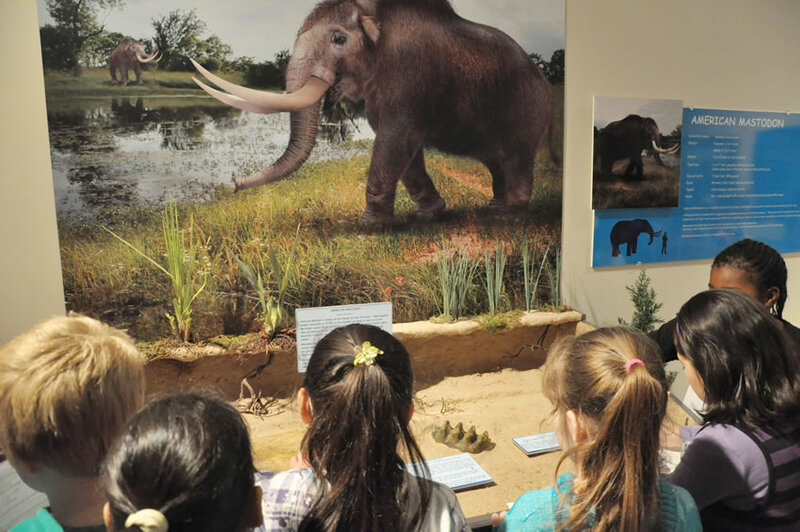 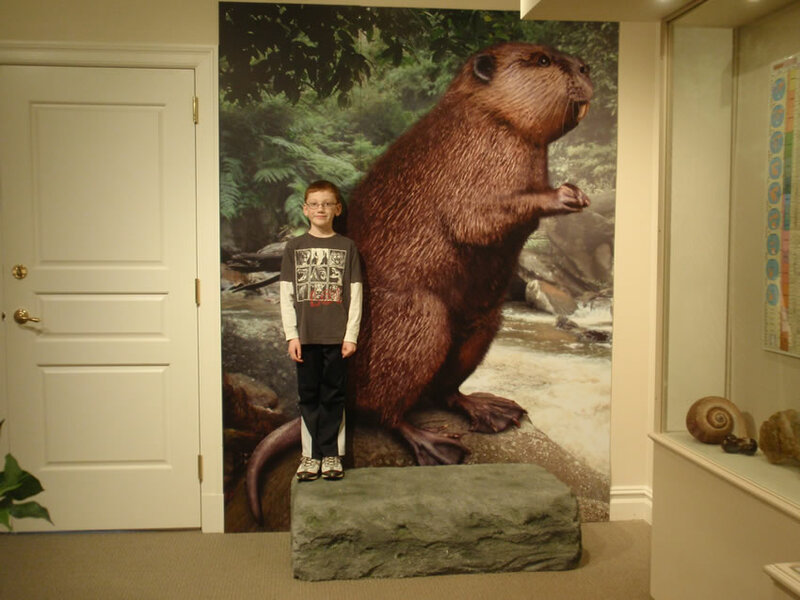 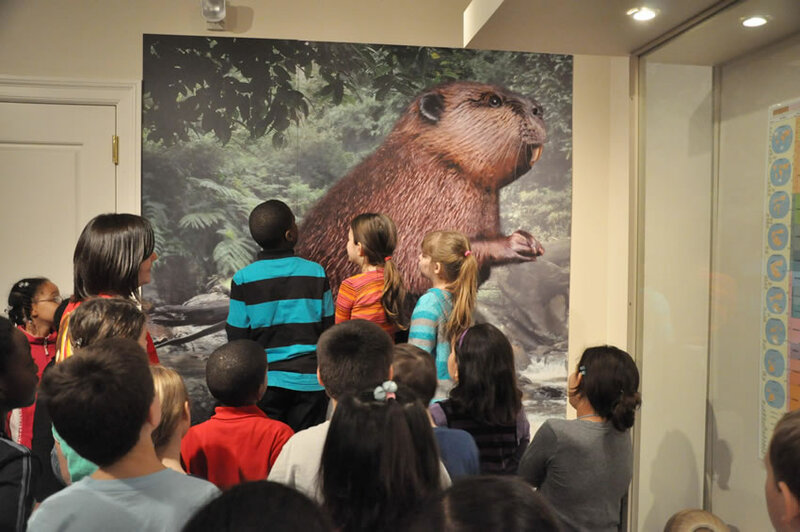 We work to enable museum visitors of all ages to have hands-on experiences in exploring, discovering and learning about the lives and times of creatures that have gone before us. 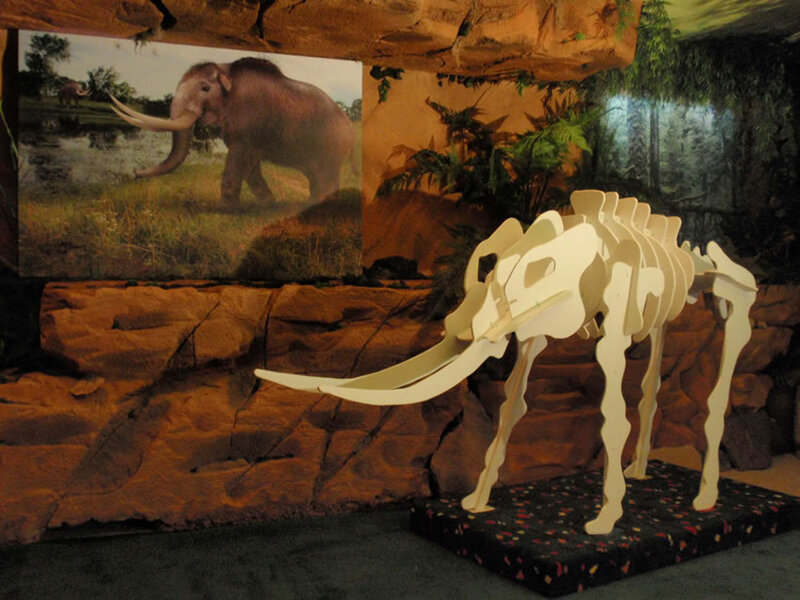 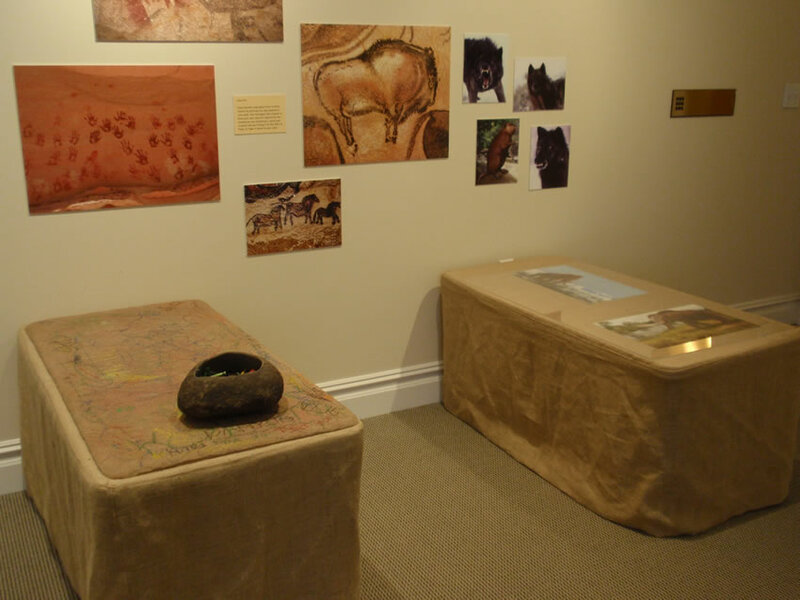 Antiquities Company is committed to providing quality interactive exhibits, delivered and installed as promised.